If you don’t respond quickly, you lose out on potential business. When a consumer has an issue with their heating or cooling system, they are likely looking for a nearly immediate fix. This is especially true with a heating issue in the winter, or a cooling issue in the dead of summer. If a consumer reaches out to a HVACR contractor, and that contractor or business does not respond right away, chances are that person has already heard back from another business. An appointment is made, and the company with the quick response has a new customer. With such high stakes, it is essential that HVACR businesses respond nearly instantaneously to their leads as quickly as possible. However, this rarely happens. New research indicates that 95 percent of home services companies are not responding to customer inquiries within five minutes, essentially opening the door for competitors to swoop in and respond. As part of the study, more than 450 home services companies (including heating and cooling professionals, electricians, plumbers and more) were contacted via forms on the company’s website and tracked their responses. The takeaway for HVACR professionals: more emphasis must be put on this growing lead management gap. Businesses cannot just respond to their leads when it is convenient to them — they must respond immediately to be successful. In order to ensure leads are not being left behind to competitors, we recommend HVACR professionals adhere to the following process. An unfortunate truth in the HVACR business is that most companies do not know how quickly their sales representatives are responding to leads. This is a major problem when it comes to closing the lead management gap. Business owners should begin streamlining their lead management process by tracking their current lead response times. 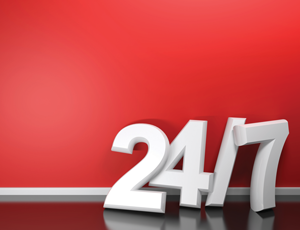 For a few weeks, record response times to all inquiries: phone, website and email. Make note of how quickly sales representatives responded to the inquiry, recording the exact time the lead came through and when your team responded (i.e. phone or email). Once response times are tracked, it is time to analyze the results. Were lead responses uniform? Did potential leads receive a quicker response if they reached out through an inbound call or through your website? How many times were leads contacted before contact was made and an appointment set? Now, you have baseline data and can determine if changes are needed to the process. The way in which contractors respond to leads should be uniform every time someone inquires about services, no matter how they inquire. Whether contractors use a customer relationship management (CRM) system, an outsourced sales development team or internal dispatchers, the process should remain the same, every time, without question. After deciding if a faster lead response time is needed, determine the best approach to automate the process so every lead is receiving a response within five minutes of submission. Want to know the quickest way to lose potential business? Many sales professionals quit calling leads after one attempt. (An even quicker way is to not answer your phones at all!) Institute a response cadence for all inbound leads that includes multiple outreach attempts through multiple channels. For example, automate call reminders through your CRM system as soon as the lead is created. Set these reminders for 10 minutes later and again in 30 minutes. Successful salespeople use persistence to win more sales. Consider adding an email in, as well, to see how this affects your appointment set rate. While many businesses will stop following up over the weekend, HVACR professionals should absolutely keep the phones ringing to attempt contact over the weekend, too, since that’s when people are not at work and readily available to respond. A company’s website is often their first impression to a potential customer. An overwhelming form with multiple required fields to submit can scare someone off to a competitor’s website looking for an easier way. Review your website contact forms and consider if the form is too complicated or long. The length of the form can be daunting to someone who does not want to share too much information, and it can be off-putting to the person who feels rushed for service immediately. Make the important fields required, like name, email address, home address, and phone number. Other fields can be optional and left up to the lead to fill in or not. Additionally, to help interact with leads in real-time, a growing trend in the home services industry is for companies to install live chat on their websites. This empowers sales teams to chat with leads while they are on your site learning more about what products and services you offer. Scheduling appointments or creating quotes through chat can truly satisfy an online customer’s desire for immediacy. When people have an issue with their HVACR systems, they are not looking to address the issue in a few hours or days. They are looking for assistance now. As a result, HVACR business owners must ensure their teams capitalize on every call, email and contact form submitted immediately. Silence is deafening to someone looking for a professional to fix their heating or cooling system, and will surely lead them to find the help they need with another company that answers their call for help. Jeff Watson is senior vice president and general manager of Hunter Industrial Fans, the industrial division of the Hunter Fan Company. To learn more about the benefits of HVLS fans and choosing the right solution to revolutionize your customer’s indoor air quality, visit hunterfan.com/industrial. Vincent Coakley is a construction project management and engineering professional based out of Port Chester, New York with more than 28 years experience as a licensed PE. For additional information, email him at vc@laserlinebuilders.com. Colton is Digital Marketer & Content Creator, co-founder and CEO of Jumper Media, and an Advertising, Content Management & Social Media Strategy Expert. Megan Jackson is the office manager for Redlaw Mechanical Inc., a community-minded air conditioning and heating maintenance and installation in Lancaster, Va. For additional information, visit redlawmechanical.com. Elaine Duraes is marketing manager at Bosch Thermotechnology Corporation, responsible for overseeing the company’s North American marketing, communications and customer programs. Over her 13-year tenure with Bosch, Elaine has worked in the company’s Automotive Aftermarket and Thermotechnology divisions. For additional information, vist bosch-climate.us. Kirstie Nugent is a mechanical designer at RMF Engineering with experience in designing HVAC, plumbing and medical gas systems. 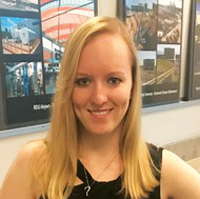 Her project experience includes assessment of existing conditions, building information modeling/coordination, as well as contract document production. She has experience in coordinating designs with all disciplines including MEP, Architectural, Structural and specialty systems. Visit rmf.com for additional information. Jeffrey S. Ettenger, Esq. is a partner at Schwartz Ettenger PLLC where he concentrates his practice in the area of labor and employment law, assisting employers with their day-to-day employment needs, as well as all areas of employment litigation. Jeff is a regular speaker and writer on employment law topics for business owners. Contact him via email at jse@selawny.com or visit schwartzettenger.com for additional information. Karen Lamy DeSousa is owner and president of Advance Air & Heat Co. Inc. in East Freetown, Mass. As a Certified Woman-Owned Business, Advance Air & Heat specializes in solving commercial HVACR and control issues in a way that is environmentally friendly, economical and makes sense for the individual business needs. Visit advanceair.net for additional information. Jamie Kitchen is an account manager for Danfoss. He previously was the training manager for Danfoss in North America. Jamie has worked in several positions around the world to develop an expertise on the various considerations each region requires to achieve its air treatment needs — whether through refrigeration, air conditioning, heating or humidification. For additional information, visit danfoss.us. Kevin Burns is the President of Bob Jenson Air Conditioning in San Diego with over 29 years of experience in the HVACR Field. He has worked in every aspect of the industry and has trained dozens of people. He has a passion for doing what’s right for each home and customer and sets this standard for his entire team. 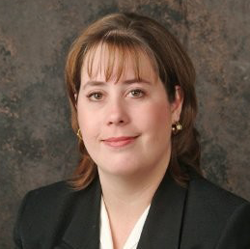 Danielle Putnam is the president of The New Flat Rate, as well as vice president of Women in HVACR. For additional information, visit womeninhvacr.org. At KickCharge Creative, Alyssa helps to ensure that clients’ websites are valuable resources for existing and future customers. Overseeing the content team and digital marketing efforts, she is responsible for maximizing the sites’ visibility, conversions and user experience—so that they translate into business success. Visit kickcharge.com for additional information. As president of Quarter Moon Plumbing & AC, Joel Frederick leads a great team that has been committed to serving the San Antonio community and surrounding Texas areas for over thirty years. Joel actively supports his community and dedicates much of his free time to volunteerism and service work. For more information about Quarter Moon Plumbing & AC, please visit quartermoonplumbing.com. 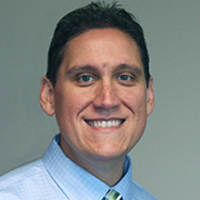 Jeff McLanahan is director, enterprise learning and development for Service Experts Heating & Air Conditioning. For additional information, visit serviceexperts.com. Vicki LaPlant is the owner of Vital Learning Experiences and has been a leading consultant to the HVACR and plumbing industry for more than 20 years. She has trained countless contractor owners on how to run efficient, profitable businesses. For additional information, visit vleishvac.com. 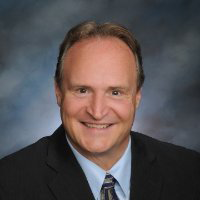 James Leichter is president and CEO of software company Aptora Corp., owner of Mr. HVAC LLC and majority partner at RA Tax and Accounting Inc. James is also a faculty member of EGIA Contractor University. Visit egia.org/university for additional information. Jennifer Peterson is president and co-founder of Wavelength Marketing LLC, a full-service branding and public relations firm using relevant messaging, audience targeting and program integration to increase marketing effectiveness. For additional information, visit wavelengthresults.com. Mark Sinatra is CEO of Staff One HR. Before joining Staff One HR, Mark co-founded Gordian Capital, a private investment company that focuses on making long-term investments in lower middle market companies. For additional information, visit staffone.com. 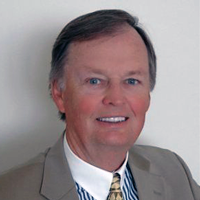 Roger McCoy is a certified franchise executive (CFE) and a senior franchise business consultant for Direct Energy. He has been involved in HVACR contracting since 1994, franchising since 2004 and is a U.S. Army Veteran. For additional information, visit clockworkhomeservices.com. For additional information on Synchrony Financial, visit toolbox.mysynchrony.com. 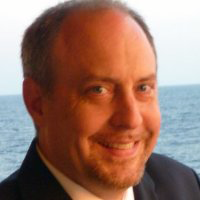 John Miller is head of operations and sales for Quartix US, a vehicle tracking provider for fleet management. For additional information, visit quartix.com or call (312) 800-9883. 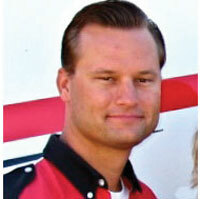 Ryan Holden is a former HVACR technician and is currently director of Progressive Heating & Air in San Diego. For additional information, visit progressiveairconditioning.com. Gary Elekes is president of EPC Training and has more than 20 years of experience in the contracting industry. He is also a founding faculty member of EGIA Contractor University, which provides contractors with the training, tools and resources to build the business and life of their dreams. For additional information, visit egia.org/university. For additional information on how to become a more effective leader for your business, visit www.egia.org/hvacr-leadership to access a complimentary leadership training package full of educational videos, implementation templates, how-to guides, industry research and more courtesy of EGIA Contractor University. Wes Gosney is national product category manager, aftermarket parts for Ferguson Enterprises. Please visit ferguson.com for additional information. Lance Sinclair had 17 years operational experience before joining Direct Energy/Success Academy in 2004. In his current role at Success Academy, he is responsible for the development, design, delivery and evaluation of training and education for the franchise system consisting of instructor led training, web based training and online self-directed training. Visit clockworkfranchise.com for additional information. Taylor Hill and Carter Harkins are the co-hosts of the Blue Collar Proud (BCP) Show, a podcast that’s all about having and living the blue collar dream, and co-authors of the book Blue Collar Proud: 10 Principles for Building a Kickass Business You Love. Visit bcpshow.com/contact for additional information. Terry Nicholson is chief success officer and leading HVACR expert at PRAXIS S-10, the fastest growing success college for contractors. Visit praxiss10.com for additional information. Mike Moore isn’t just an HVACR expert; he also knows a thing or two about employee training for the HVACR industry. As one of the Lennox Learning Solutions founders and director of training, he is focused on helping HVACR leaders, salespeople and technicians grow their businesses and develop their skills. For additional information, visit lennoxpros.com/hvac-training. Jack Rebel is vice president, partner alliance at Praxis S-10. He is on a mission to help contractors achieve business success beyond their wildest dreams. Jack has already helped more than 600 contractors discover the new HVACR business model that is transforming the industry and greatly enhance their profits. Visit praxiss10.com for additional information. Scott Brinkley is a business coach with Nexstar Network. His more than 23 years of experience in the plumbing, HVACR and electrical industries helps him take Nexstar member companies to the next level. For additional information, visit nexstarnetwork.com, call 888-240-7827 or email membership@nexstarnetwork.com. 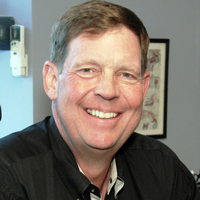 Currie Gauvreau has 26 years of experience as a trainer and has taught at several universities since 2008. He retired as a Patrol Sergeant with the Sarasota County Sheriff’s Office in Florida after serving as the primary instructor at the police academy for two years. As the manager of branded training within Direct Energy’s Learning & Development group, he is responsible for the development, design, delivery, and evaluation of training and education for the franchise system consisting of Instructor Led Training, Web Based Training, and Online Self-directed Training. He manages a training group that serves all of North America. Direct Energy Services is one of North America's largest home services providers and offers a wide range of services to homes including HVAC, plumbing and electrical services through our service brands of Benjamin Franklin Plumbing, Mister Sparky electric and One Hour Heating and Air Conditioning. Drew Barton is the former webmaster for CNN.com and the founder and president of Southern Web, an award-winning digital agency specializing in web development and digital marketing solutions. He is the author of The Buyer’s Guide to Websites: What You Need to Know to Get the Website of Your Dreams. For additional information, visit southernweb.com. 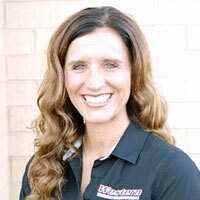 Angie Snow is the co-owner and vice president of Western Heating & Air Conditioning in Orem, Utah. She and her husband, Ryan, purchased Western in 2007. At that time the company had 4 technicians and was ran out of their home. Today Western has 26 employees and they are looking forward to continued growth. Visit timeforcomfort.com for additional information. 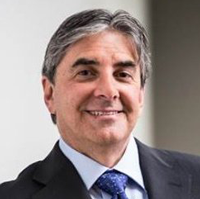 As owner and managing director of Sun Acquisitions, Domenic Rinaldi is well-versed in teaching business buyers, sellers and those who want to grow their businesses the intricacies of the process. 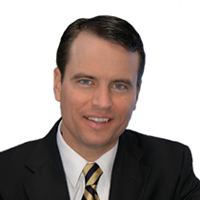 His firm specializes in helping people confidentially buy and sell privately held firms. For additional information, contact drinaldi@sunacquisitions.com. Mike is vice president of franchise training at Money Mailer, a leader in direct marketing which offers local businesses a unique portfolio of marketing solutions to reach consumers online, on their mobile phones and in the mail. He has more than 30 years of experience in the marketing industry. For additional information, visit moneymailer.com. 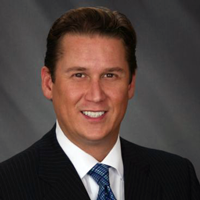 Bob is a partner with UHY LLP and managing director at UHY Advisors Mo, Inc. He is a co-leader of the St. Louis office’s SEC Practice group and is also the director of Enterprise Risk Advisory services group. Visit uhy-us.com for additional information. 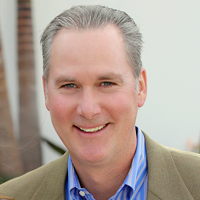 Tim is a marketing veteran and president of Mudlick Mail, a leading provider of direct mail services. Over the last eight years, Tim has built Mudlick into a $40 million operation that has helped thousands of businesses develop sustainable sales growth. For additional information, visit mudlickmail.com. Chuck Eddy is vice president of HVAC sales for Southwire Company LLC, one of North America’s largest wire and cable producers. Southwire and its subsidiaries manufacture building wire and cable, metal-clad cable, portable and electronic cord products, OEM wire products and engineered products. Visit hvac.southwire.com for additional information. Scott Mulka manages marketing for Lathem, a leading provider of durable and affordable timekeeping products for business since 1919. More than 1 million organizations worldwide use a Lathem solution every day to help manage their business, including the cloud-based PayClock Online time and attendance system and the PayClock mobile app. You can reach Scott at smulka@lathem.com. April Ruggles joined RMF Engineering as a mechanical engineer in 2016. She holds four patents from her time as a mechanical design engineer in the computer hardware industry. April earned her Bachelor of Science in mechanical engineering from the University of Minnesota – Twin Cities. She can be reached at april.ruggles@rmf.com. A former U.S. Navy Captain, Mike Abrashoff took control of the USS Benfold, one of the worst performing ships in the Pacific Fleet. After just 12 months, he transformed the ship — using the same crew — and won the Navy’s Spokane Trophy for best-performing ship in the Pacific Fleet. For additional information on how to transform your leadership, visit apgleadership.com/fuel-hvacr. Jeremy Noll is the Service Manager for Isaac Heating and Air Conditioning in Rochester, N.Y. He has been with the company for more than 14 years, nine of which have been in a leadership capacity. Visit isaacheating.com for additional information. David Heimer is a founder and the chief operating officer of Service Nation Inc. He earned a Master of Business Administration from Southern Methodist University and a Bachelor of Science in computer science from Texas Christian University. Learn about the best business alliances in our industry by visiting serviceroundtable.com and servicenationalliance.com. 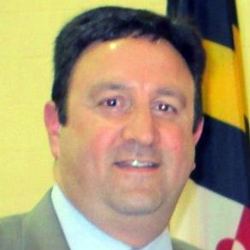 Rob Greenblatt, CMA, is the director of business development at CroppMetcalfe, a Fairfax, Va.-based contractor that offers HVACR, plumbing, electrical and pest control. In addition to being the administrator of the CroppMetcalfe Academy, he is also responsible for all HR, accounting, safety and training activities. For additional information, visit croppmetcalfe.com or email Rob at rgreenblatt@croppmetcalfe.com. Julie Decker is the distribution sales manager for Carlisle HVAC, the divisional name for brands of Hardcast duct sealant, Dyn Air duct accessory hardware and Nexxus brand of four bolt flange products. She is responsible for sales in the U.S., Mexico and Latin America through manufacturer’s representatives. In addition, Julie currently serves as president of Women in HVACR. For additional information, visit womeninhvacr.org. Bob Viering is vice president of programs for Service Roundtable. His roots in the HVAC and plumbing industries date back to 1979 when he was hired as a residential installation apprentice at TD Industries. Visit serviceroundtable.com for additional information. Elena G. Denisenko is country head for Mexico at Omnicomm OU. Omnicomm is a developer and manufacturer of fuel management systems for a wide variety of industries. For additional information, visit omnicomm-world.com/es/. Jodie Deegan is a Nexstar Network training implementation coach. Informed by working more than 25 years in the HVAC, plumbing and electrical fields, Jodie assists residential contractors in guiding their technicians toward new processes and behaviors that stick. For additional information, visit nexstarnetwork.com, call 888-240-7827 or email membership@nexstarnetwork.com. 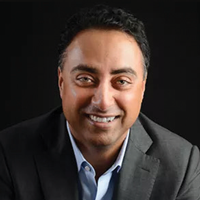 Karan Dhillon is the founder of The Contractors Coach, a business coaching company focused on contractors and the construction industry. He is also the author of the book The 7 Deadly Sins in a Contractors Business. For additional information, visit thecontractorscoach.com. 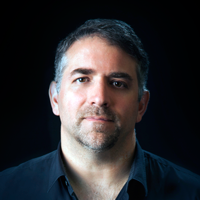 Steve Teneriello is the founder of Ad Machines and is the author of The Google AdWords Survival Guide. Since 2002 Steve has helped home service companies build lead generation systems that work. Today Steve and his team are Google Premier Partners generating more than 25,000 leads per month for some of the fastest growing home service businesses in the US and Canada. For additional information about Steve, you can request a free copy of his book and/or you can sign up to receive his monthly marketing plans at admachines.com/hvac-plans. 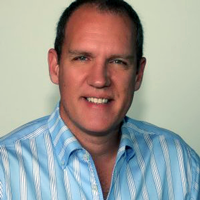 Michael Haines is founder of AC4Life.com, an HVAC e-commerce site, and co-founder of Triple Your Clicks. You can contact him directly at email mhaines@TripleYourClicks.com or call 407-701-9520. 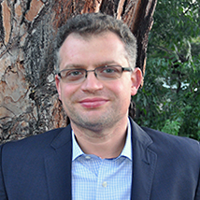 Stoyan Panayotov, CFA is the founder and CEO of Babylon Wealth Management, a fee-only RIA registered in the state of California. His firm specializes in comprehensive, tailored financial planning and investment advisory services to entrepreneurs and business owners. For additional information, please visit babylonwealth.com. Patti Ellingson has an extensive background in sales, business development and marketing within the HVACR industry since 1993. 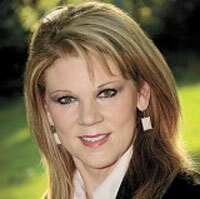 She is director of sales for the HVACR Industrial Division at Cooper-Atkins Corp. In addition, she is a past-president of Women in HVACR, and serves on the association’s advisory board. Please visit womeninhvacr.org for additional information. Stephen L. McClure, Ph.D. and Christopher J. Eckrich, Ph.D are consultants with The Family Business Consulting Group, Inc., a leading management consulting firm serving the unique needs of multi-generational family businesses worldwide. Learn more at thefbcg.com. Tom Merriott, a business coach at Nexstar who focuses on call-center, dispatch and contractor communication process excellence, brings years of call center and management experience from independent HVAC, plumbing and electrical contractors. For additional information, visit nexstarnetwork.com. 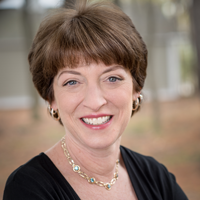 Deb Houden, Ph.D is a consultant with The Family Business Consulting Group, Inc., a leading management consulting firm serving the unique needs of multi-generational family businesses worldwide. Learn more at thefbcg.com. 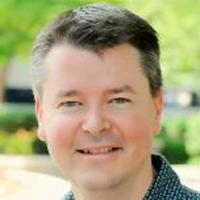 Todd Bairstow, an online marketing expert with 18 years of experience, founded Keyword Connects in 2005, where he developed a business plan to generate leads for his clients on a 100 percent performance basis. His “Pay Per Lead” business model and performance-based business philosophy have turned Keyword Connects into a leading provider of the highest quality home improvement leads to dealers and franchisees across the country. For additional information, visit keywordconnects.com. Kelly LeCouvie, Ph.D is a consultant with The Family Business Consulting Group, Inc., a leading management consulting firm serving the unique needs of multi-generational family businesses worldwide. Learn more at thefbcg.com. Chris Drew, executive vice president of Burnham Holdings, Inc., is the 2017 Chairman of the Board for the Air Conditioning, Heating & Refrigeration Institute (AHRI). For additional information, visit ahrinet.org. 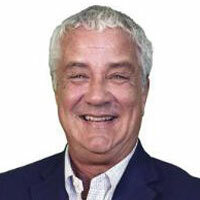 Dillon Collier is an HVAC advertising and marketing professional for Effective Media Solutions, myeffectivemedia.com, an ad agency that specializes in the HVAC contracting field. He can be reached at Dillon@myeffectivemedia.com. Heather Ripley is CEO of Ripley PR, a global public relations agency specializing in residential HVAC, plumbing and electrical businesses and other building trades. For additional information, visit ripleypr.com. Joshua Nacht, Ph.D. is a consultant with The Family Business Consulting Group, Inc., a leading management consulting firm serving the unique needs of multi-generational family businesses worldwide. For additional information, visit thefbcg.com. 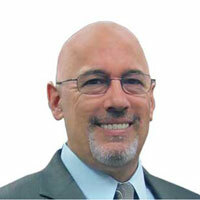 Nicholas Morosoff is the regional segment manager for wholesale within the Cooling Segment of Danfoss in North America. He has been with Danfoss for eight years. Nicholas earned his BA from the College of William and Mary and an MBA from the University of Maryland. Visit danfoss.us for additional information. 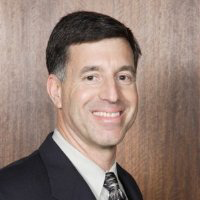 Ron Chapek is a senior product manager responsible for Emerson Climate Technologies’ ProAct Enterprise Software and Services. 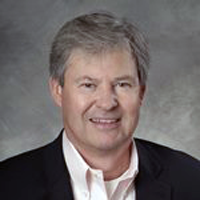 Over his 30-year career in sales and product/strategic marketing management roles, he has focused on bringing new products to market for the PC-based data acquisition, industrial automation and process control-SCADA and intelligent building segments. Most recently, his focus has been on leveraging new software tools and platforms to better serve the multi-site retail segment. 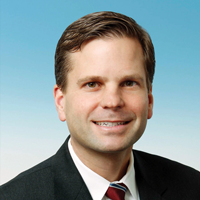 Michael Weller is an associate in Bracewell LLP’s environmental strategies practice. He advises clients in the context of government investigations and enforcement actions, regulatory compliance and advocacy. He can be reached at michael.weller@bracewelllaw.com. Whit Swift is a partner in Bracewell’s environmental strategies group. He advises industrial companies on state and federal air quality permitting and regulations, such as Title V operating permit matters and state and federal new source review permitting. He can be reached at whit.swift@bracewelllaw.com. 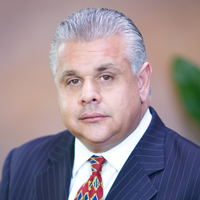 Frank Pedace is a Senior Portfolio Manager at Laurel Wealth Advisors in La Jolla, Calif. He is a Chartered Financial Analyst Chartholder, and also holds the CFP and CLU designations. He can be reached at f.pedace@laurelwa.com or 858-459-1101 x515. Nick Baucom is the founder and owner of Two Marines Moving, a moving company that has operations in the Washington, D.C., area and Miami. Baucom, who also is author of “On the Move: A Marine’s Guide to Entrepreneurial Success,” served in the U.S. Marines from 2002 to 2008, and was in Iraq in 2003. Visit twomarinesmoving.com for additional information. John Bryant, P.E., is Field Services Manager for Airgas Refrigerants, an Air Liquide company, one of the country’s largest refrigerants distributors, reclaimers and emergency refrigerant service providers. For additional information, visit airgasrefrigerants.com. Brian Greenberg is a multi-faceted entrepreneur who has founded and now spearheads multiple online businesses. He currently co-owns and operates three entrepreneurial companies with his father, Elliott Greenberg, which have each flourished for over 10 years. Visit wholesalejanitorialsupply.com for additional information. Paul Hepperla is director of new solutions development for foodservice and product management with Emerson Climate Technologies. In his current role, Paul is charged with identifying new opportunities and markets as well as the ideation, creation and deployment of new enterprise software and services solutions for retail customers. Visit emersonclimate.com for additional information. 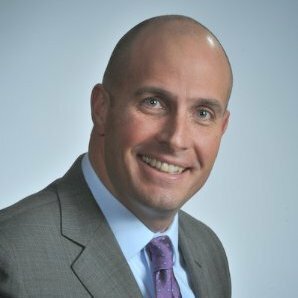 Joseph Martinko is global business manager, Opteon products, for Chemours. Please visit chemours.com for additional information. 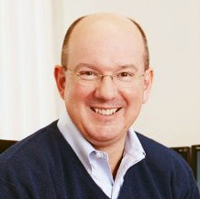 John Oechsle is president and CEO of Swiftpage. Visit swiftpage.com for additional information. 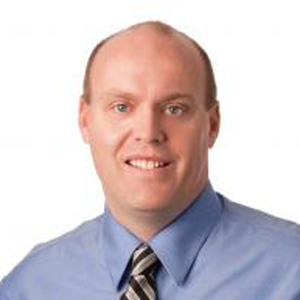 Carl Kampel, CPA is the director in charge of professional standards at Ellin & Tucker, an advisory role that ensures all aspects of client accounting, regardless of the complexity, are conducted with the highest level of service and accuracy. Visit ellinandtucker.com for additional information. Chris Drury is an innovative sales and sales management professional who demonstrates leadership, sound business judgement, well-developed strategic planning, and strong communication and negotiation capabilities. Currently, Chris leads the sales efforts for Lennox International's North America Commercial VRF Business Unit. 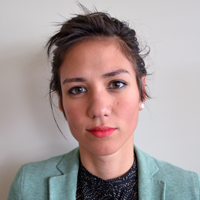 Joanna Rotter is the content marketing manager at MSI Data, a field service management software provider and creator of enterprise field service app, Service Pro. For additional information, visit msidata.com. 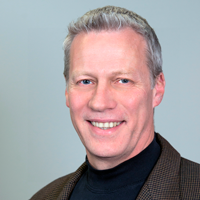 Mark Lindstrom is the founder of Make Your Mark Executive Coaching and Consulting. He helps leaders achieve breakthrough performance. Visit makeyourmarkec.com for additional information. 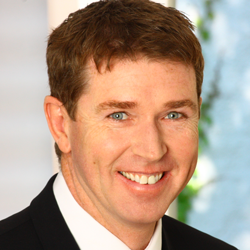 Wyn Partington is vice president of marketing at NexTraq. NexTraq’s applications — Fleet Dispatch, Fleet Metrics, NexTraq Connect and NexTraq View — deliver real-time data needed to optimize fleet operations. For additional information, visit nextraq.com. 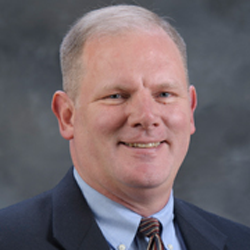 John Boyer is the Heat Transfer Market Manager at Xylem Inc. He holds a bachelor of science degree in chemical engineering from the University at Buffalo and Six Sigma Green Belt certification, Lean, from the University of Michigan College of Engineering. For additional information, visit xyleminc.com. 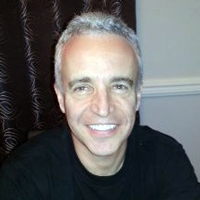 Daniel Lemin is the best-selling author of Manipurated, an expose on the online ratings and reviews industry. He was employee no. 400 at Google and led corporate PR efforts around the world, and has studied online reputation and reviews for more than 15 years. For additional information, visit manipurated.com. 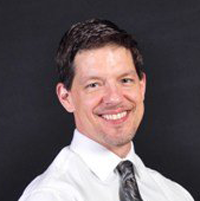 John Kopf is senior product manager with Weil-McLain, a leading North American designer and manufacturer of hydronic comfort heating systems for residential, commercial and institutional buildings. Founded in 1881, Weil-McLain is based in the Chicago suburb of Burr Ridge, Ill., with manufacturing facilities in Michigan City, Ind. and Eden, N.C., and regional sales offices throughout the United States. Frank Motola, founder and president of Brandtastic, has worked on the web since 1997, and has been devoted to marketing his entire career. He loves to demystify what it really takes to get better results on the web for business owners. For additional information, visit brandtastic1.com. Agugliaro is founder of CEO Warrior, a business consulting and mentoring firm, providing tested and proven methods to defeat the roadblocks that prevent small to mid-sized businesses from achieving their ultimate success. He has played a key role in building Gold Medal Services’ success, as co-owner of the company. Visit ceowarrior.com for additional information. Friesen is one of Nexstar’s full-time master trainers. He is a world-class trainer and contributor to Nexstar since 2004. To learn more call 888-251-9188 or visit nexstarnetwork.com. Home Energy's mission is to provide reliable, up-to-date information on energy-efficient products and best practices in home performance, energy efficiency, comfort, health and affordability. For additional information, visit homeenergy.org. Thomas Dolan is a business journalist based in the Pacific Northwest. For additional information and articles on home performance, visit homeenergy.org. Dan heads up the marketing efforts and provides digital marketing strategies to the marketing team at Service Champions, HVAC service providers in California. For additional information, visit servicechampions.net. 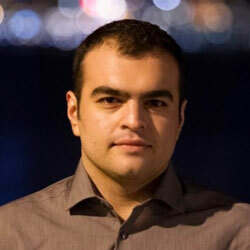 Bobby Manoukian is a project manager for Retriever Communications, a company solely focused on mobility solutions for field operations in the industrial sector. For additional information, vist retrievercommunications.com. 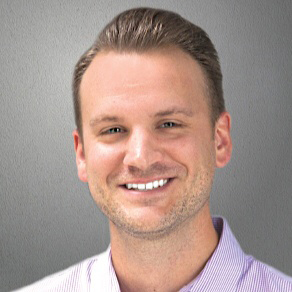 Brad is the Director of Content Strategy for Straight North, a Chicago-based Internet marketing company that offers SEO, PPC and web design services. For additional information, visit straightnorth.com. Earl Harper is senior vice president for RMP Capital Corporation based in Islandia, N.Y., handling more than $80m in annual deal flow. He is a past president of the Central Texas chapter of the construction financial management association. For additional information, visit rmpcapital.com. 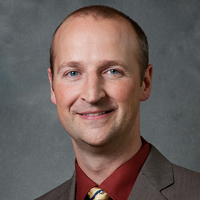 Joe Dreesen is a principal in the Omaha, Nebraska, office of Jackson Lewis P.C. Dreesen represents management in all aspects of labor relations and employment law. 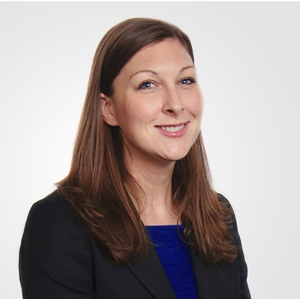 Catherine A. Cano is an associate with Jackson Lewis P.C., also representing management in all areas of labor and employment law. For additional information, visit jacksonlewis.com. Dr. Geist joined the UNF SBDC in 1996 to help the University of North Florida Small Business Development Center expand services into new areas. Dr. Geist serves on several economic development boards in the counties he serves, boards of numerous civic and educational organizations, and was a charter appointee to the U.S. SBA Advisory Board for Florida since its inception in 1997. For additional information, visit sbdc.unf.edu. Tumlin is the CEO of Mouthpeace Consulting LLC, a communication consulting company, and president of leadership development firm On-Demand Leadership. He is also the author of the book "Stop Talking, Start Communicating: Counterintuitive Secrets to Success in Business and in Life." For additional information, visit tumlin.com. Matt is the CEO of the Service Roundtable. Contractors join the Service Roundtable to receive new sales, marketing, and business tools weekly. These tools take the form of direct mail letters, post cards, consumer newsletters, pricing calculators, green marketing, training tools, eBooks, training videos, brochures, and more. The Service Roundtable gives contractors over $3,000,000 of innovative and low cost ways to get and keep customers that are easily customized. For additional information, visit www.serviceroundtable.com. 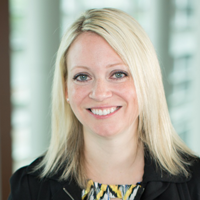 Lisa is director of corporate communications & public relations for Danfoss North America. For additional information, visit www.danfoss.com. Brady is co-founder of Juice Inc., a corporate training company that services organizations from Toronto to Los Angeles. Also a speaker, trainer and author, Brady recently released his latest book, "Beyond Engagement: A Brain-Based Approach That Blends the Engagement Managers Want with the Energy Employees Need." For additional information, visit www.bradywilson.com. 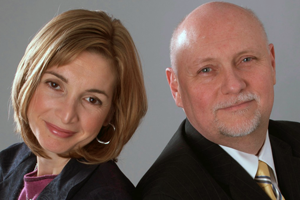 Richard and Andrea are the authors of “Go for No! — Yes is the Destination, No is How You Get There,” a short powerful story written specifically for sales professionals in every industry who must learn to harness the power of “no” to be successful. To learn more, visit www.goforno.com. Robin is a branding and marketing expert who excels at reaching demographics with pinpoint accuracy. With an entertainment career spanning 25 years, her experience includes National Radio Executive and Artist Management. She led the creative team for the Walt Disney Company that launched Radio Disney, essentially igniting the tween music craze that began in 2000. Jones now helps business owners define their brand and reach their audience as the vice president of marketing for Service Nation Inc. You can reach her at Robin.Jones@ServiceRoundtable.com. 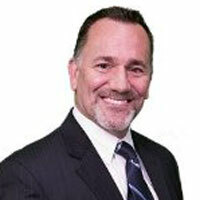 Mike Walker, MBA is vice president of sales for Lennox Commercial. He currently leads the sales efforts for Lennox International’s North America Commercial HVAC Business Unit and helped develop the Lennox Rapid Replacement program and Commercial Quick Quote proprietary mobile app. For additional information, visit www.lennoxinternational.com. Matt is operations manager at Flame Heating, Cooling, Plumbing and Electrical in Warren, Mich. For additional information, visit www.flamefurnace.com. Howard is the executive vice president for ESCO Group, which manages HVAC Excellence, and has been involved in the trades for more than 25 years. In his current role he works with educators and trainers to develop custom training solutions for the individual needs of their training programs. For additional information, please visit www.hvacexcellence.org. 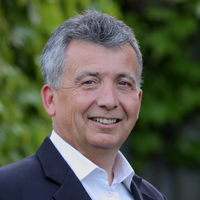 Graham is chairman of the EnOcean Alliance and has 25 years experience in analogue and RF solutions at various Engineering, Sales and Marketing positions in USA, GB, Germany, Austria and Norway. Before joining EnOcean he was a worldwide pioneer in low power wireless sensor networks at leading start-up Chipcon (purchased 2006 by Texas Instruments) where he conducted the worldwide business development activities, served as President of Figure8Wireless and was Vice President of the ZigBee Alliance. For additional information, visit www.enocean-alliance.org. John is the chief operating officer for North American Technician Excellence (NATE), the nation’s largest non-profit certification organization for heating, ventilation, air conditioning and refrigeration technicians. For additional information, visit www.natex.org. Anthony is a self-made man, entrepreneur, corporate visionary, leadership coach and author of "The Sales Assassin — Master Your Black Belt in Sales." For additional information, visit www.thesalesassassin.com. Heading up AtHoc's Human Resources, Karen brings 25 years of HR experience in the high tech industry. Karen’s responsibilities encompass the advancement of recruiting, team organization, performance management and talent development for AtHoc's growing needs. 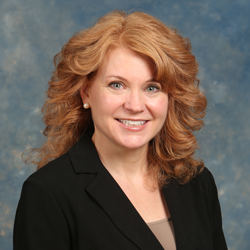 A seasoned professional, Karen brings a wealth of experience to AtHoc, with a background that includes Sr. Director and Global HR Business Partner of Ericsson telecommunications and HR Director of Better Place, an electric vehicle start-up where Karen designed global human resources programs and processes. Her prior roles include leading the global OD function for Trend Micro as well as their head of HR for the Americas. 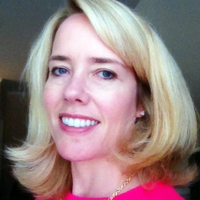 Prior to that, Karen was head of HR for SAP Labs in Palo Alto. Karen holds an MS from San Francisco State University. John, a business turnaround expert, has more than 30 years' experience as a sales executive in the medical device industry. He spent more than 10 years restructuring sales departments of bankrupt companies while generating more than $1.5 billion in sales to position them for successful IPOs. He is the author of Amazon's bestseller Nuts & Bolts of Sales Management: How to Build a High-Velocity Sales Organization. For more information, please visit Treace Consulting. 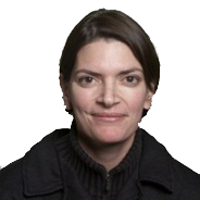 Christine is an architect and Certified Passive House Consultant at the Center for Building Knowledge at the New Jersey Institute of Technology, in Newark, New Jersey. Kevin is operations manager at NexTraq. NexTraq’s applications — Fleet Dispatch, Fleet Metrics and NexTraq Connect — deliver real-time data needed to optimize fleet operations. For additional information, visit nextraq.com. Lander is responsible for Ferguson Enterprises' HVAC training in the Midwest and Mid-Atlantic districts. 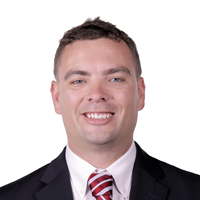 Claassen started with the company in 2005 and is accountable for on-boarding, developing and training new associates as part of their sales management trainee program. You can reach him at lander.claassen2@ferguson.com. Jo is executive director for Of Substance Media and the president of Five Minutes of Courage. Jo served on the Governor’s Task Force to regulate Amendment 64 in Colorado as a certified drug and alcohol technician, and currently serves on the Board of Directors for the Drug and Alcohol Testing Industry Association (DATIA), co-chairing the Marijuana Education Committee. She is an accomplished trainer, writer, speaker and consultant for safe and drug free workplace policies and compliance. You can contact Jo at jo@jomcguire.org or 719-290-0839, or visit www.jomcguire.org for additional information. Jason is VP, Sales Operations at Canvas, a leading provider of cloud-based software that enables businesses to find, customize and create mobile forms that replace paper forms. For additional information, visit www.gocanvas.com. Gary is the HVAC Recruiting Team Leader at Direct Recruiters, Inc. of Cleveland. He is a member of the American Society of Heating, Refrigeration, and Air Conditioning Engineers (ASHRAE). To Contact Gary, call 440-996-0057 or email ggardiner@directrecruiters.com. 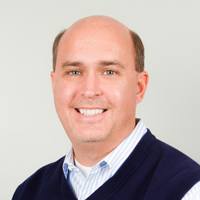 John is senior marketing and strategy manager for Cintas Corporation. For additional information, please visit www.cintas.com. Daniel is a manager in the Tax Department of Ellin & Tucker in Baltimore, MD, where he advises privately held businesses in various industries including construction, investment partnerships, manufacturing, professional service firms, real estate and wholesale distribution. 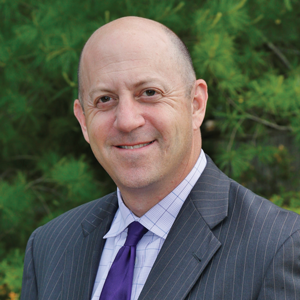 In addition to providing general business tax advice, Dan works closely with owners and key employees to develop unique financial and individual tax plans, as well as offering guidance for business succession, mergers/acquisitions and retirement fund maximization. You can contact Dan at dthrailkill@ellinandtucker.com or call 410-727-5735, ext. 3185. Roger is the owner of Ford''s RV Refrigeration. Founded in 1984, Ford's began training its procedures to others across the USA and other countries in 1990. In 1994, they wrote the first book that covered reconditioning RV refrigeration cooling units which is used in their training program. In later years they provided training on all of the RV appliances and serviced everything on the RV. In 2014, FRVTC became America's only licensed School in the field of RV refrigeration repair and reconditioning. For additional information, visit http://rvrefrigeration.com. Christopher is a partner in the Irvine, Calif. office of Fisher & Phillips, a national labor and employment law firm. For additional information, visit laborlawyers.com. Serial entrepreneur and author Faisal Hoque is the founder of SHADOKA and other companies. Shadoka enables entrepreneurship, growth and social impact. His newest book is "Everything Connects: How to Transform and Lead in the Age of Creativity, Innovation and Sustainability. For additionl information, visit www.shadoka.com and follow him on Twitter @faisal_hoque. 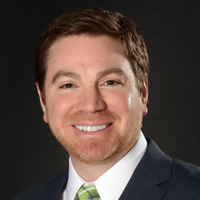 John Kleb, CPA and MBA, is a partner in the strategic technology practice at Sikich LLP. 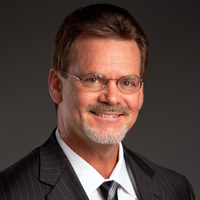 He joined the firm in 1995 when he merged his accounting practice with Sikich Gardner & Co., LLP (now Sikich LLP). 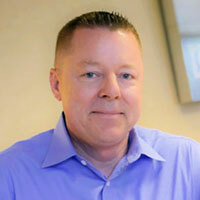 John now leverages his 30+ years in business to lead the strategic technology team at Sikich. The team enables clients to maximize the potential of technology while staying on budget and on schedule. For additional information, visit www.sikich.com. Janis is product marketing manager at Aprilaire. 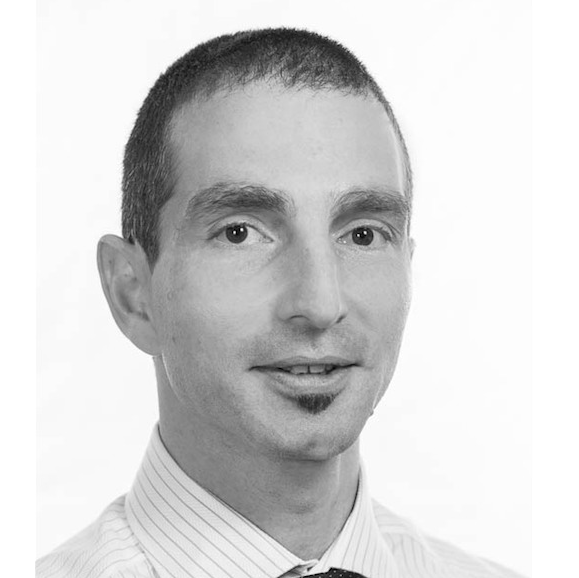 Torben is head of public affairs in refrigeration and A/C controls for Danfoss, focusing on various issues as refrigerants, energy efficiency and new trends within the industry. For additional information, visit www.danfoss.com. 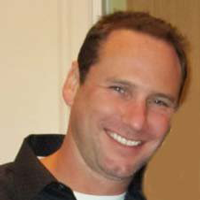 Scott is the founder and CEO of zlien. He is a licensed attorney in six states with experience in construction law litigation and corporate credit management matters. Visit www.zlien.com for additional information. Neal is the author of Maximize Your Social: A One-Stop Guide to Building a Social Media Strategy for Marketing and Business Success. Neal is the creator of Advertising Age’s Top 100 Global Marketing Blog, Maximize Social Business, and a global speaker on social media. Visit www.maximizeyoursocial.com for additional information. Christine Comaford is a global thought leader who helps mid-sized and Fortune 1000 companies navigate growth and change, an expert in human behavior and applied neuroscience, and the bestselling author of Rules for Renegades. Visit christinecomaford.com for additional information. Steve is CEO of Miller Ingenuity. With more than three decades of management, executive, consulting and speaking experience in markets all over the world, he is a globally regarded business growth authority and "turnaround specialist" who has transformed companies into industry giants and enthralled audiences with his dynamic keynotes. For additional information, visit stevenlblue.com. 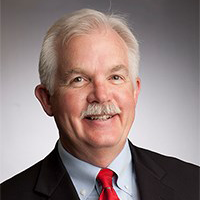 The president of UV Resources, Forrest Fencl is an ASHRAE Fellow, formerly an ASHRAE Distinguished Lecturer, and a member of the International Ultraviolet Association and the Illuminating Engineering Society. He may be reached at forrest.fencl@uvresources.com. Marjorie is president/CEO of AQB, a business process & software consulting firm that improves the efficiency of accounting departments. The firm specializes in QuickBooks implementation and data conversion projects. She is considered one of the top QuickBooks experts in the country and currently sits on the Intuit Solution Provider Council. For additional information, visit aqb.com. Daniel imparts his success wisdom, principles and philosophies through his proprietary "Science of Visioneering" approach to help companies, entrepreneurs, executives and other professionals realize business greatness. He may be reached online at www.dansteenerson.com — an online community where business owners, executives and other career achievement-minded professionals go for no-nonsense, tell-it-like-it-is success advice. Ron is Senior Vice President, Deputy Director of Sales, for Aflac. For more information on Aflac, call 1-800-99AFLAC or visit www.aflacforbusiness.com. Stephen concentrates his legal practice on the representation of management in employment matters and litigation, and businesses in consumer protection issues. He provides employment relations counseling regarding all federal and state employment laws, employment handbooks, wage and hour issues, termination and discipline of employees, hiring issues, unemployment compensation, and worker’s compensation. Businesses throughout the United States seek Mr. DiTullio’s expertise when addressing consumer protection disputes with the Wisconsin Department of Justice, and the Wisconsin Department of Agriculture, Trade, and Consumer Protection. 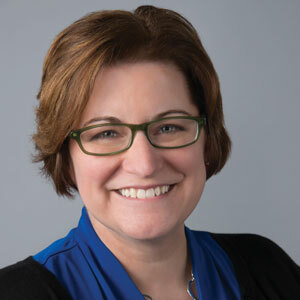 Stacy is vice president of strategic media programs at Godfrey, a full-service, integrated business-to-business branding and marketing communications company headquartered in Lancaster, Pa. Godfrey has several clients in the HVACR industry. For more information, visit www.godfrey.com. Barry is founder, president and CEO of LaBov & Beyond Marketing Communications, Inc. In addition to being an award-winning entrepreneur and business leader, Barry is also an accomplished author of the Umbrella Series of business parables and books, How to Sell and Be Yourself, and Beyond Comparison. He’s also a published columnist in national newspapers, magazines and various trade publications and a public speaker, as well as an experienced and critically acclaimed musician. For more information please visit labov.com, umbrellastory.com, or call us at 260.497.0111. Mark Tibbetts is the Executive Director of the Thermostat Recycling Corp., a not-for-profit corporation supported by 29 manufacturers that historically branded and sold mercury thermostats in the U.S. TRC assumes all costs to transport and properly dispose of mercury-switch thermostats removed from service. Nationally, TRC has over 2,000 HVACR wholesale distributors collecting waste mercury thermostats on its behalf. For more information, go to www.thermostat-recycle.org. SONNHALTER is a b-to-b marketing firm that specializes in reaching professional tradesman in construction, industrial and MRO markets. John can be reached at jsonnhalter@sonnhalter.com or visit his blog www.tradesmeninsights.com. Phillip J. Schneider Jr. is the Vice President, Sales & Marketing for Mike Albert Fleet Solutions, a national fleet solutions provider specializing in strategies for contractors. Rhonda Savage is a professional speaker and CEO for a well-known management and consulting business. 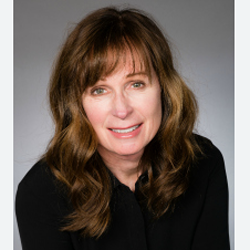 As past president of the Washington State Dental Association, she is active in organized dentistry and has been in private practice for more than 16 years. 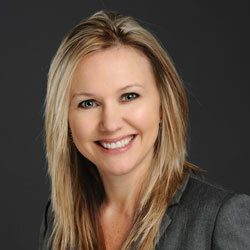 For more information on her speaking, visit www.DentalManagementU.com, or e-mail Rhonda@milesandassociates.net. Joe is managing partner of Robert H. Ranck Plumbing, Heating & Air Conditioning in Lancaster County, Penn. His father started the company in 1953, and Joe worked there growing up during high school and college, and joined full-time in 1977. Visit www.ranckinc.com for additional information. Charles is a national franchise lawyer who assists successful business owners in franchising their businesses. He is the author of “How to Expand and Grow Your Business Through Franchising” and in addition to his work as a franchise lawyer he is also the managing member of a national franchise company in the cleaning services industry. To learn more about Charles visit his website at www.FranchiseLawSolutions.com. Drew is president of HVAC Sellutions. He works with contractors to implement effective lead generating marketing and build multi-million dollar profit-generating sales forces.? He is founder of the Contractors Consultants of America (CCA), a founding member of the Contractor Advisory Group (CAG), a member of Air Conditioning Contractors of America (ACCA) as well as a Consult & Coach Partner with the ServiceRoundtable.com. Drew’s 37 years of experience in all facets of running a residential contracting business helps HVAC Sellutions serve contractors as “Revenue Resultants Driving Profit Performance.” To contact Drew for a free consultation call 1-888-621-7888 or visit www.hvacsellutions.com. Drew can also be reached via email at drew@hvacsellutions.com. Tony is a career business media professional, who has led B2B brand sales, marketing and growth efforts. He has diverse industry experience including manufacturing and supply chain, pest management, landscape and golf course maintenance as well as the professional beauty industry. 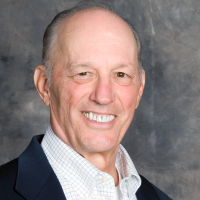 Prior to his career in business media, D’Avino was a teaching tennis professional, having the honor of working for Dr. Alex Mayer, who’s sons Gene and Sandy were world-ranked professionals during their era. D’Avino is a graduate of Montclair State University. He currently resides in Westlake, Ohio with his wife and two children. 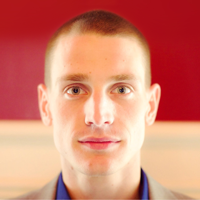 James Manktelow is the founder and CEOof Mind Tools. © Mind Tools Ltd., 2008.MindTools.com offers more than 100 freeskill-building articles, helping its readersbuild the essential skills they need for anexcellent career. Kari Logan is co-owner of Minneapolis based C.E.L. Public Relations Inc. and a former television producer and news assignment editor. Find out more at www.celpr.com or call 888-235-2780. Joseph and JoAnn Callaway are coauthors of the New York Times best seller Clients First: The Two Word Miracle and founders of the real estate company Those Callaways. For additional information, visit www.clientsfirstbook.com. 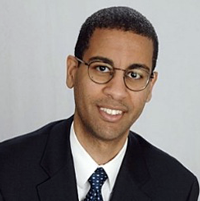 Chris Walling, MBA is a speaker, consultant and former academic medical executive. Chris Walling Consulting is a business and personal consulting firm dedicated to empowering leaders to create innovative, creative solutions to today’s complex and chaotic business environment. For additional information, visit www.chris-walling.com. Mike Muhney, the co-creator of ACT! software, is CEO of mobile relationship management purveyor vipOrbit — the first relationship-centric contact manager solution enabling mobile business professionals to manage their contacts, calendar and client/customer interactions across Mac, iPhone and iPad platforms. Visit www.VIPOrbit.com for additional information. Roxi Hewertson, president & CEO of the Highland Consulting Group, is a no-nonsense business veteran revered for her nuts-and-bolts, tell-it-like-it-is approach and practical, out-of-the-box insights that help both emerging and expert managers, executives and owners boost quantifiable job performance in various mission critical facets of business. Visit www.askroxi.com for additional information. Ben Hubbert, co-owner of Champion AC, is a former member of Special Operations in the Air Force (Combat Control) who’s now committed to helping the San Antonio community reduce its demands on the energy grid. Ben is a firm believer in education and constantly teaches new customer service approaches and techniques. Visit www.championac.com for additional information. Ford Saeks is a business growth expert who specializes in helping businesses find, attract, and keep their customers through innovative integrated marketing and social media campaigns. He is CEO of Prime Concepts Group Inc. Learn more at www.ProfitRichResults.com and www.PrimeConcepts.com. Brandon Jacob operates Contractors Financial Opportunity LLC (www. Contractorscfo.com), a financial consulting firm that specializes in business valuations, transactional support and exit strategies. Jacob calls upon his 16 years as a CPA as well as industry insight gained as a valuation analyst and acquisition specialist in the hvacr, plumbing and electrical trades. A graduate of Texas A&M University, Jacob brings big business experience and expertise to small business owners who would otherwise never have access to such resources. To contact Jacob: Brandon@Contractorscfo.com. 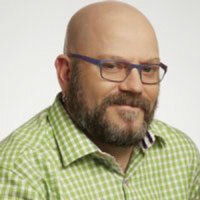 Kerry Gleeson is the founder of the Institute for Business Technology International (IBT) and developer of the Personal Efficiency Program (PEP). He is the author of the books The Personal Efficiency Program and The High-Tech Personal Efficiency Program. George “Read” Frymire is president of Frymire Services Inc., the company his father founded in Dallas in 1950. Frymire, which provides both residential and commercial services, won the 2009 Tops in Trucks Award in Lettering. John Empson is co-owner of Broadcast & Design Group, an advertising agency based in Minneapolis that specializes in marketing services to the HVAC industry. Jim Randall is Marketing Operations Manager at AJ Danboise. For more information, visit: www.broadcastdesigngroup.net or www.ajdanboise.com. 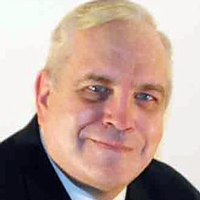 Joe Dysart is a speaker and Internet business consultant based in Thousand Oaks, Calif. He can be reached at: (805) 379-3673 or joe@joedysart.com. His Web site is www. joedysart.com. Director of Policy and Public Affairs at ARI. 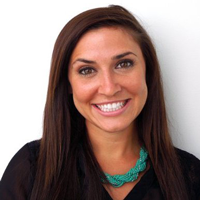 Martha Ciske is the Technology & Social Media Account Executive of PR/PR Public Relations. E-mail pam@prpr.net. Bruce Christensen is vice president and general manager of GE Money’s Home Improvement division. He and his team provide consumer-financing programs to thousands of hvacr dealers nationwide. 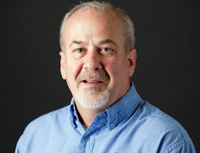 Ed Cerier is the Marketing Strategist at Nexstar Network®, a world class business development and best practices organization that provides business training, systems and support to independent home service providers in the plumbing, electrical and HVAC trades. For more information, visit www.nexstarnetwork.com. Marc is the president/COO of Famous Enterprises, Akron, Ohio, one of the largest regional wholesale only distributors of HVAC, Plumbing, PVF and Building Products. For additional information, visit famous-supply.com. 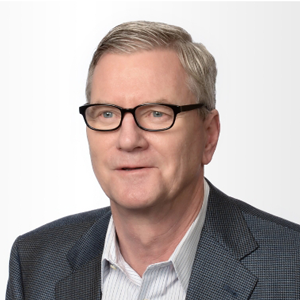 Jim is president of BBA Consulting Group Inc., a management consulting and training firm dedicated to helping technical service firms leverage the untapped potential in their business-development efforts. For additional information, visit bbaconsulting.ca. 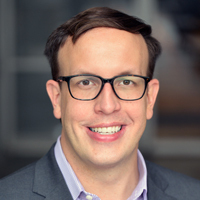 Jonathan Durkee is vice president, product management for Fleetmatics, a provider of fleet management solutions for small- and medium-sized businesses. 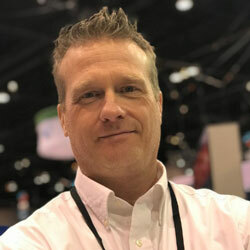 Prior to his current role, Durkee was VP Sales and Product Management for SageQuest, a GPS fleet management software company acquired by Fleetmatics in 2010. For additional information, visit www.fleetmatics.com. 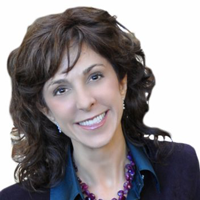 Vicki Suiter is a business consultant and coach who has helped hundreds of companies realize an appreciable increase in profits, cash flows and sustainable business success. Her straightforward style helps business owners and managers maintain clarity and focus on what they need to do to reach their goals. You can reach Vicki at vicki@suiterfinancial.com or visit www.suiterfinancial.com. Sandi Coryell is a leadership consultant, keynote speaker and strategist whose passion is working with executives to transform them from bosses into leaders. Sandi encourages leaders to “unleash their deviance” and dare to step as far away from safe as they can possibly get. For additional details, visit www.thecoryellgroup.com. 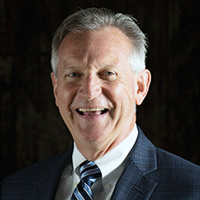 Paul McCord, owner of McCord Associates, has more than 30 years of experience in sales, sales leadership, building and growing companies, and has trained thousands of sellers and sales leaders. He is the author of Creating a Million Dollar a Year Sales Income: Sales Success through Client Referrals, which was selected for inclusion in the Forbes Book Club. For additional information, visit www.mccordandassociates.com. David M. Dye works with leaders who want to build teams that care and get more done. He is a former executive, elected official and lead trailblazer of the leadership-consulting firm, Trailblaze, Inc. His latest book, The Seven Things Your Team Needs to Hear You Say, is available now at Amazon.com. You can connect with David on Twitter @davidmdye or at www.trailblazeinc.com. Pete Skinner is the owner and founder of Earth Environmental Group, LLC. (E2G Solar), where he designs, installs, repairs, researches and teaches about residential and commercial solar thermal systems. His courses range from entry level to advanced solar thermal at conferences and colleges across the USA. Contact Pete at 518-369-3208 or visit www.e2gsolar.com. 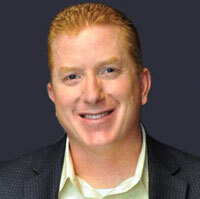 Marc Marchillo is a corporate training manager at Aprilaire. With more than 27 years of sales training experience, Marchillo has helped establish training programs for companies such as American TV, Best Buy, Sealy Bedding, Yamaha and Bose. For additional information, please visit www.aprilaire.com. Shama is president of The Marketing Zen Group, a full-service digital marketing firm that serves clients around the world. Her first book: "The Zen of Social Media Marketing," was released in April 2010 and is the No. 1 seller in the Web Marketing category on Amazon.com. Visit Shama's website at www.marketingzen.com. Jim Victor learned HVAC in the Air Force in 1969. When Victor left the Air Force in 1973, he worked in many different industrial applications with service work as his education. Victor started at Air Conditioning & Heating Service Company in 1978 as a technician, worked up to Service Manager in 1986, and took position as President and CEO in 1996. Jaime DiDomenico began in the HVAC business in 1981, and has worked many positions for regional and national home service firms. He purchased N&M CoolToday in March 2004 and, as of 2013, has grown replacement sales by $7 million. Gere Jordan writes for Continental Message Solution (CMS), an award-winning call center serving the HVACR industry. Be sure to visit his blog and learn about CMS at www.continentalmessage.com. Bill Spohn is CEO and co-owner of TruTech Tools, LTD. He holds BSME and MSME degrees from the University of Rochester and is a Registered Professional Engineer (PE) in Pennsylvania. Over the last 25 years, Bill has built his career on creating, designing, and marketing a wide array of test and measurement products that work for technicians in the field. As co-owner at TruTech tools, Bill is responsible for setting and maintaining the strategic direction, and marketing and business plans. He has lectured to a wide variety of audiences on the applications of testing and measurement instrumentation in building science, weatherization and HVAC. Bill has worked with BPI, RESNET, GAMA, AHRI, OMA, RSES, NATE, and ACCA Technical Committees and holds three U.S. patents. Beniam is a trademark and copyright attorney, counselor-at-law and the founder of Biftu Law LLC. His firm was created to provide exceptional and affordable trademark counsel to small business owners and large international corporations. Beniam also helps up-and-coming artists, writers, musicians, and app developers secure and enforce federal copyrights. For additional information, visit biftulaw.com. 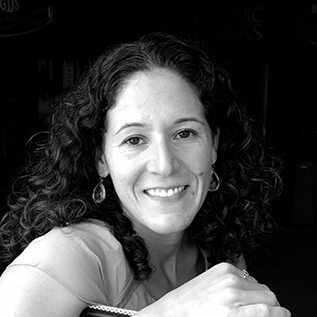 Jenn Lonzer, M.A. is managing editor of HVACR Business and a public relations and strategic communications consultant. Margot is president of Trade Trends, Inc., a financial data services provider. She has been offering market analysis with customized stock indices and financial commentaries since 1999. For additional information, visit tradetrendsonline.com. and Analytics group in Bedford, MA. Peter Hungate is the owner of Pacific Air Systems, a retail heating and air company serving over 14,000 residential and light commercial customers in Tacoma, Washington. 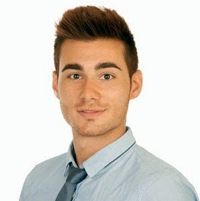 Peter has built his company with a strong and continuing focus on managing and improving business processes. Jeff Shawd is Vice President of Marketing for GE Capital’s Retail Finance Business where his leadership has generated growth across a range of business segments by creating new markets, products, channels and compelling selling propositions. His key areas of expertise include business leadership, P&L, marketing, positioning strategy, change management, new business development and new product development. Jeffrey C. Garr is CEO of HR Knowledge, Inc., an HR, payroll and benefits service provider in the Boston area that has been recognized as a Gold Level Broker by Harvard Pilgrim Healthcare. 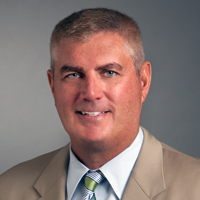 In 1997, Jeff helped launch HR Logic, Inc., a Fidelity Investments company focused on HR outsourcing. In 2001, he started his own HR outsourcing company, AdminaService, Inc., and in 2005, Jeff merged his company with HR Knowledge. Together, these two companies offer a unique and integrated HR outsourcing model supported by high-touch client service. Today, HR Knowledge provides best-in-class HR services at an affordable cost. As CEO of HR Knowledge, Jeff has been a driving force behind the company’s significant growth. He is the creator of HR Knowledge’s signature “concierge-level client service,” which has helped position the company as a leading provider of outsourced HR for, among others, small- to mid-sized businesses, nonprofits, charter and private schools and high tech companies. Barbara Jaurequi, a Licensed Marriage and Family Therapist and Nationally Certified Master Addiction Counselor, speaks on a variety of personal and professional topics and is the author of A.C.E.S. – Adult-Child Entitlement Syndrome, which teaches parents of adult-children how to compassionately launch their adult-children into the world of personal responsibility in a straight-forward step-by-step approach. She is licensed through the California Board of Behavioral Sciences to practice psychotherapy with individuals, couples, families,teens/children and groups. As a Nationally Certified Master Addiction Counselor (M.A.C.) through NAADAC – The National Association for Addiction Professionals, she is recognized for her specialized training and experience working with addicts of all kinds, including those needing substance abuse treatment for substance/chemical dependency (alcoholism/drug addiction), eating disorders, co-dependency and other behavioral addictions. As an expert clinician, Barbara works directly with clients to determine their goals for therapy and she tailors treatment plans that best suit their particular needs. She has extensive experience treating the most common disorders for which people seek therapy such as mood disorders (depression and anxiety), obsessive disorders, life adjustment disorders, stress/anger management, grief and loss. A nationally recognized expert in the field of addiction, she was featured as an eating disorders specialist on ABC’s hit reality television program Extreme Makeover – Weight Loss Edition in July of 2012. She is a frequent expert guest on a host of radio stations, speaking on multiple topics including eating disorders, alcoholism, behavioral addictions, marital stress and many others. Contact her by email at Barbara@BarbaraJCounseling.com or phone her office at 909-944-6611. Chris Corpus is a partner with the law firm Wegman, Hesselr and Vaderburg, where he assists clients in business entity selections, contract negotiation, review and drafting, asset sales and purchases, co-owner relations, succession planning, restrictions on competition, and leasing transactions. Chris also assists his clients with general business advice and the potential legal ramifications of such decisions. Chris works with clients in protecting and defending their trademarks. This includes trademark validity, prosecution, infringement, right-to-use opinions and licensing matters. Chris also defends companies in product liability and consumer actions. His experience also includes business and commercial disputes and the defense of manufacturers at trial in numerous federal and state courts. He has received Martindale Hubbell’s Highest Possible Rating in both Legal Ability and Ethical Standards, A-V.
For more than 25 years, Roberta Matuson, president of Matuson Consulting, has helped leaders of fortune 500 companies and small- to medium-sized businesses create exceptional workplaces. A seasoned consultant, Matuson is considered a leading authority on leadership and the skills and strategies required to earn employee commitment and client loyalty. She is the author of Suddenly in Charge: Managing Up, Managing Down, Succeeding All Around, and is a prolific writer who has published more than 300 articles worldwide. With four decades of industry experience, Jim Johnson has facilitated hundreds of training seminars, workshops and classes in the HVACR, electrical and refrigeration areas. He has written four textbooks for the HVACR industry and ten technician handbooks. He has developed and presented more than 75 video training programs. He has also written more than 500 feature articles for trade magazines and is a regular columnist for several. His Tuscon, AZ-based company, Technical Training Associates, provides technician training videos and presents workshops on both technician and soft skills subjects. 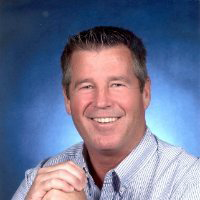 Ken Reese has 20 years of experience working in marketing consulting and business development with emphasis in a broad range of industries, including HVAC and energy. He serves as senior account executive for Decision Analyst, where he is also director of the American Home Comfort Study, which provides strategic intelligence on energy efficiency, home comfort and HVAC systems. Lisë Stewart is founder and director of Galliard Group, a training and consulting firm specializing in family-owned and closely-held businesses. She is a nationally recognized author and speaker who draws on her 25+ years of experience to share practical advice for ensuring sustainability of family businesses. 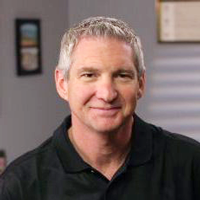 Kenneth D. Goodrich, principal of Arizona-based Goettl Good Guys Air Conditioning Repairmen and The Sunny Plumber, is a seasoned entrepreneurial executive with over 26 years of experience in acquiring, integrating and developing HVAC, plumbing and service contracting businesses. Dan is a serial entrepreneur who ran his first retail operation while in high school. 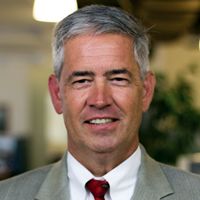 He is currently CEO of New England Network Solutions (NENS), which he founded NENS in 1993. Over the years, he has owned and managed several start-up companies. Dan is passionate about sharing his success strategies with fellow entrepreneurs. For additional information, visit nens.com. 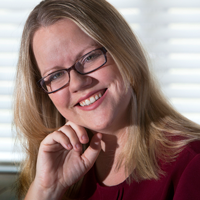 Caron is a small business owner, a writer, and marketing communications consultant. Caron works with the SBA.gov team to promote essential government resources that help entrepreneurs and small business owners start-up, grow and succeed. For additional information, visit april-marketing.com. Steve Schmidt founded Frederick Air in 1992 on his personal convictions of honesty and integrity, and serves as president of the company. With a focus on residential and commercial quality installations and service, Steve has grown the business into an award-winning and highly recognized top performer in the northern Washington, D.C. metropolitan area. Contact Steve at steve@frederickair.com. Garrett Cook is currently the general manager for Cook Heating & Air in Crawfordsville, Indiana, and has served on the Board of Directors for the Heating & Air Conditioning Alliance of Indiana since 2008. Garrett has been training contractors in the PHCE industries as a Nexstar® Network trainer since 2011. For more information on training classes available through Nexstar, visit www.nexstarnetwork.com or call 1-888-240-STAR (7827). 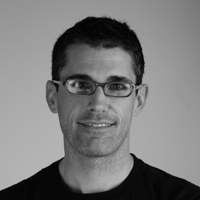 Patrick Valtin is an international public speaker and the author of No-Fail Hiring. His No-Fail Hiring System has been used by thousands of small businesses of all kinds of industries. 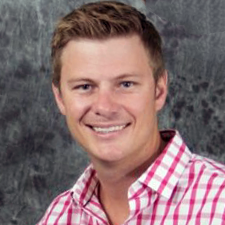 Lee Gientke is the managing partner of Webmix Marketing, a marketing agency that specializes in helping home services companies grow though marketing strategy, online marketing and direct mail. Visit his website at www.webmixmarketing.com for more information. Larry Taylor started in the HVAC business in 1965 and purchased AirRite Air Conditioning in 1990. He is also a past chairman of ACCA (Air Conditioning Contractors of America). 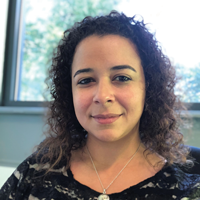 Tracy N. Martin is Marketing Manager for 2J Supply, a wholesale distributor of heating and air conditioning products in Ohio, Kentucky, and West Virginia. Dan is the founder, president and creative director of Graphic D-Signs, a New Jersey-based advertising and marketing company catering exclusively to small businesses and focused on branding, web design, marketing and advertising services. He is a recognized expert on small business branding and author of two books on logo design, as well as dozens of articles on graphic design, branding, vehicle graphics and related topics. For additional information, visit graphicd-signs.com. Rob is senior vice president of research & development at Sage Payment Solutions, a division of Sage North America. He has been in the commercial payments and business-to-business electronic commerce industry for 15 years. For additional information, visit na.sage.com/us/sage-payment-solutions. 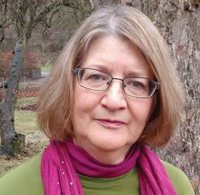 Barbara Trautlein is a change leadership consultant, author, international speaker and researcher with more than 25 years of experience partnering with organizations to lead change that sticks. She helps all levels of leaders in achieving their personal and professional goals, from Fortune 50 companies to small- and mid-sized businesses, in industries ranging from steel mills to sales teams, refineries to retail, and healthcare to high tech. 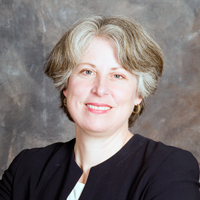 Trautlein earned her PhD in organizational psychology from the University of Michigan. 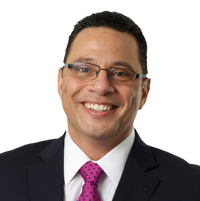 Victor is an executive coach, speaker and managing partner with Potential Sales & Consulting group. He specializes in exponentially growing sales by bringing accountability to the sales process and crafting a sales culture of success. For additional information, visit victorarocho.com. Russell Trahan is President of PR/PR, a boutique public relations agency specializing in positioning clients in front of their target audience in print and online. www.EmployeeEngagment.com, and consultant on the subjects of employee engagement, workforce trends, and leadership. For more information, please visit www.bobkelleher.com.?? Jim Norris was the Executive Vice President of the Air Conditioning Contractors of America from 1969 to 1998. He left ACCA in 1998 to take the position of Chairman of the Board of GroupMac. Jim is now retired and works as a stage actor in Lewisburg, WV. Greg Smith is the former editor of HVACR Business magazine and the Ahead of the Curve enewsletter, as well as web content editor for www.hvacrbusiness.com. He has been involved in B2B publishing for more than 30 years as an editor and marketing specialist and has more than a decade of experience covering the mechanical systems market. Frank Rotello is vice president of InsideIQ Building Automation Alliance, an international alliance of independent building automation contractors representing common automation and security system platforms. A 30-year veteran of the industry, Rotello is also the CEO of Alpha Controls & Services in Rockford, IL. Brian Moran, President and Founder of Strategic Breakthroughs, has more than 30 years of expertise as an executive, coach, and consultant. His new book, “The 12 Week Year” is a powerful guide to creating results. To learn more about Brian Moran, please visit www.BrianPMoran.com. 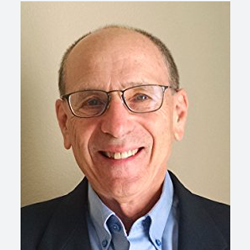 Ron Cohn of Ralston Consulting has specialized for more than 30 years in leadership and strategy development, executive coaching, and small and family business succession. For more information, please visit www.getralston.comor contact Ron at rcohn@getralston.com or 801-328-1820. 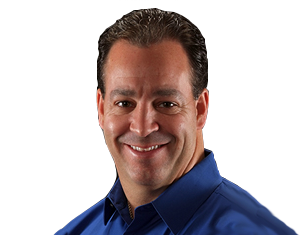 Keith Mercurio is the sales trainer for Nexstar Network and trains members on sales, customer service, and motivation. 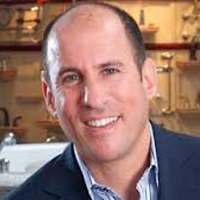 Before joining Nexstar, he worked within a Nexstar member company, first as a plumber, then developing an HVAC sales division that produced $3.7 million within the first two years while incorporating many of the same techniques he teaches today. Jenn Morgan is an Orgasmic Brand Strategist Defending the Universe from Mediocre Marketing. After redefining 12 years of experience producing brand campaigns for distinctive companies such as Diet Coke, US Postal Service, and Chrysler Jeep, Jenn re-positioned herself for the Entrepreneur and Small Business Owner who wants to build a high-end brand that turns customers on. 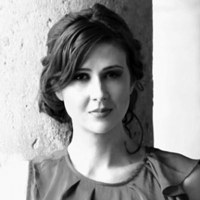 Jenn works with clients around the globe from Seattle, WA to New York, NY to Warsaw, Poland. Jenn is the author of the upcoming book "The Orgasmic Brand". Learn more at www.jennmorgan.com. 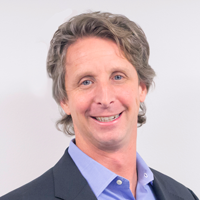 Brad Smith has nearly 20 years of leadership experience in the web consumer, enterprise software, and communication service provider industries, spanning sales and marketing, product management and development, service architecture, and service/support delivery roles. 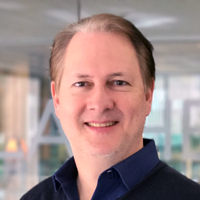 As executive vice president, customer experience, for Sage North America, he is responsible for developing all aspects of the Sage commitment to the customer experience, from product design and customer support, to the invoice experience and all touch points in between. Smith was most recently vice president of customer experience for Yahoo! 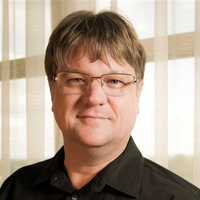 He also previously held senior leadership roles with Symantec, Openwave, and Verisign. 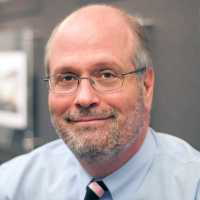 He is a member of the Forrester Customer Experience Leadership Council and the Support Services Advisory Board of the Technology Services Industry Association, and on the board of directors of the Consortium for Service Innovation. 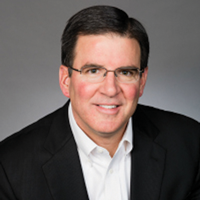 Jim Wenninger is CEO of WennSoft, which builds and delivers operational software specialized for service contractors. Curt Wang is an executive coach at Make The Leap! Coaching. He is also an expert and professional speaker on the topics of change leadership and organizational change. Wayne Newitts is marketing director for Dexter + Chaney, a Seattle-based software development company that has been providing computer and software solutions to the construction industry for over 30 years. An engineer by training, Wayne has been involved with the development and marketing of business software for over 15 years. He can be contacted at wnewitts@dexterchaney.com, and more information on Dexter + Chaney is available at www.dexterchaney.com. Stacey Hall and Denise Michaels both know the secrets to creating success in a sea of constant change. In a two-and-a-half-day workshop called “Occupy Your Life… NOW!” they teach business owners ways to embrace the skills needed to become influential and an “overnight sensation” in your own right. For more information about “Occupy Your Life… NOW!” and the dates when the workshop will be conducted next, go to www.DeniseMichaels.com/seminar. Paul Morin was a carpenter who framed houses for 15 years before becoming a weatherization auditor in 1991. He also worked for the Center for Energy and Environment for more than 12 years, diagnosing building shell, combustion spillage, ventilation, and moisture problems in single-family and multi-family buildings. He has been working as a Technical Sales Specialist for The Energy Conservatory since 2009 and is past president of the Minnesota Building Performance Association. Beverly is a Certified Professional Behavioral Analyst (CPBA), hypnotherapist, and career and business adviser who specializes in helping managers and employees deal with difficult workplace relationships, performance issues, and goal achievement. She’s the author of five business and financial books, including the award-winning book, Understanding Other People: The Five Secrets to Human Behavior, and her latest book, Make Your SHIFT: The Five Most Powerful Moves You Can Make to Get Where YOU Want to Go (ATA Press, 2012). Andrew Sobel is a widely published author on client loyalty and the capabilities required to build trusted business relationships. 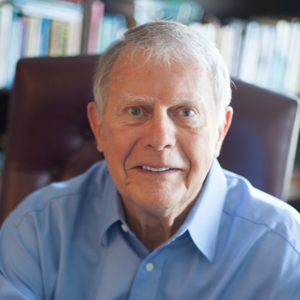 His first book, Clients for Life, defined an entire genre of business literature about client loyalty. He is also author of Power Questions, Making Rain and the award-winning All for One: 10 Strategies for Building Trusted Client Partnerships. Colleen Weston is an advocate and practitioner of inbound marketing strategies currently serving as the Director of Marketing of Arzel Zoning Technology, a zoning system manufacturer in Cleveland, Ohio. She is also the owner of BrainChild Advertising, a marketing-consulting company that specializes in small business development. Bill Lee is the author of The Hidden Wealth of Customers: Realizing the Untapped Value of Your Most Important Asset and is an authority on the subject of customer advocacy and engagement. about Mike Menard please visit www.afishinyourear.com. John is the Chief Market Strategist for Fifth Third Bank, which has nearly $25 billion in assets under management. For additional information, visit tbmcg.com. David Gebler is the founder and president of the Skout Group, a consultancy that helps companies evaluate the cost-effectiveness and scandal-potential of their corporate cultures. He's a lawyer specializing in business ethics, and author of The 3 Power Values: How Commitment, Integrity, and Transparency Clear the Roadblocks to Performance(2012, Jossey-Bass). Bill Losey, CFP, is the President of Bill Losey Retirement Solutions, LLC, an independent fee-based registered investment advisory firm. Bill is the author of Retire in a Weekend! The Baby Boomer’s Guide to Making Work Optional and he also publishes Retirement Intelligence®, a free weekly award-winning newsletter. Learn more at www.MyRetirementSuccess.com and www.BillLosey.com. Bill McBean is the author of The Facts of Business Life: What Every Successful Business Owner Knows That You Don’t (Wiley, October 2012, ISBN: 978-1-1180949-6-9, $24.95, www.FactsOfBusinessLife.com). 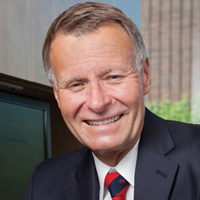 Bill began his career with General Motors of Canada Limited in 1976. After holding several management positions with GM, in 1981 he accepted a position with the Bank of Nova Scotia (ScotiaBank) as manager of a sizeable commercial lending portfolio. Two years later, however, GM approached him about opening a new automobile dealership in Yorkton, Saskatchewan, and, along with ScotiaBank, offered to lend him the required capital. Accepting the offer, Bill began his first business as a “start-up” the following year, beginning with 10 employees. 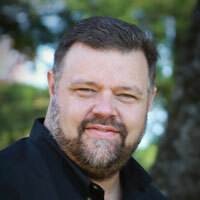 Josh Nelson co-founded HVAC SEO and with more than 25 years of experience in internet marketing, search engine optimization and social media management. HVAC SEO executes online marketing and SEO functions on behalf of HVAC contractors, plumbers and other contracting businesses throughout the country. The firm helps obtain Google search page one placement and strictly honors a no-competitor agreement, working with no more than one HVAC contractor in each market. For more information, call Josh Nelson at 866-610-4647 or visit HVACSEO.net. Jason Selk EdD trains companies and organizations — including professional athletes, sports teams, coaches, and business leaders — on how to achieve optimal performance. He's the bestselling author of 10-Minute Toughness andE xecutive Toughness, both published by McGraw-Hill. He's a regular television and radio contributor to ABC, CBS, ESPN, and NBC, and has appeared widely in print. Marsha Friedman is a 22-year veteran of the public relations industry. She is the CEO of EMSI Public Relations in Wesley Chapel, Fla., a national firm that provides PR strategy and publicity services to corporations, entertainers, authors and professional firms. Marsha is the author of Celebritize Yourself: The 3-Step Method to Increase Your Visibility and Explode Your Business and she can also be heard weekly on her Blog Talk Radio Show, EMSI’s PR Insider every Thursday at 3:00 PM EST. J. Allan McCarthy, principal of J. A. McCarthy & Affiliates, has more than 20 years of experience across 15 industries and more than 200 companies. 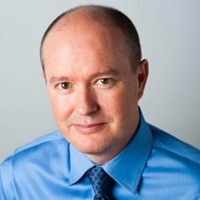 He has worked with many international companies, including Cisco Systems, Raychem Corporation, SAP Inc., Redback Networks, BEA Systems and Ericsson. Brad Remillard is a speaker, author and trainer with more than 30 years of experience in hiring and recruiting. Brad is also the co-founder of Impact Hiring Solutions and co-author of You're NOT the Person I Hired: A CEO's Guide to Hiring Top Talent. Carmine Galletta is owner of GallettAir Inc. of West Babylon, N.Y. He began his career in the industry in 1976 at age 18 after graduating North Babylon High School with a two-year technical diploma in HVAC from Wilson Tech, and obtained a position as a mechanic’s apprentice. In 1983, at age 25, Carmine started his business, GallettAir Inc. Heating & Air Conditioning and remains the current owner going on 30 years. Anish Patel is founder and head producer of Revolution Productions, an online video production company that specializes in high-impact, creative, high-quality web videos to convey messages, increase traffic to websites and enhance the image of clients. Joe Thomas is the founder and owner of Left Brain Digital, a web-development company. He’s an award-winning web designer/developer with more than 18 years of experience in print and web design and development. Scott Klososky, a former CEO and author of the books, Enterprise Social Technology and The Velocity Manifesto, helps organizations thrive, leaders prosper, and entire industries move forward through his unique perspectives on technology, business culture, and the future. More information is available at www.klososky.com. Victor Green has a long record of founding and growing businesses in a variety of industries. Now retired, he lectures and mentors small business owners and new entrepreneurs in conjunction with SCORE and the U.S. Small Business Administration. In How to Succeed in Business By Really Trying! (Amazon, $16), Green shares more than 40 years worth of practical business advice. For more information, visit: www.howtosucceedinbusiness.com. Ron Edinger is the ownerof Liquid Capital South Texas in San Antonio. He is also the principal of Liquid Capital Exchange, Inc. Liquid Capital is an international network with more than 60 offices across North America. For more information on Liquid Capital, visit www.liquidcapitalcorp.com. Ron Edinger can be reached at (210) 587-7267 or by email at redinger@liquidcapitalcorp.com. As a manager for 1&1 Internet, Inc., Kelly Meeneghan is an industry specialist providing expert advice on how SMBs can grow their business online through websites and online marketing methods. 1&1, a global leader among Web hosts, provides companies with the tools necessary to get online and be successful. To reach Kelly, email press@1and1.com. For more information visit www.1and1.com. James Kiefner, an analyst at WeatherLift.com, studies weather’s impact on demand for product and services online. He helps marketers account for, and respond to, variations in advertising campaign performance due to weather. Michael Gerskovich is Group Product Manager-Accessories, Concrete Products, Robert Bosch Tool Corp.
Ken Summers has been in the HVAC Industry since 1977, in residential service, in-home sales, and commercial design/ build. For the past 16 years he has been with Comfort Institute, helping progressive HVAC contractors adopt whole-house and air distribution diagnostics and repair. 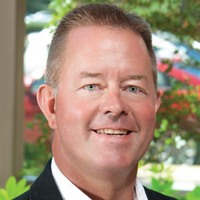 Tom East is President of Refrigeration Sales Corp., a wholesaler based in Valley View, OH. 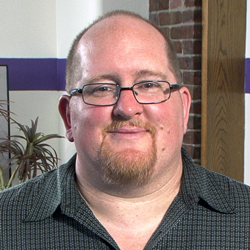 Greg is director of marketing at Melissa Data, a direct marketing software and services company. Having worked for over 10-years on both the client and agency side, he brings a unique perspective to developing creative, results-oriented marketing programs to acquire and retain customers. For additional information, visit MelissaData.com. Ross Soyka is currently the director of marketing for the HVAC/R products division of Mainstream Engineering, Rockledge, FL. 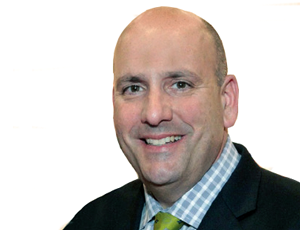 Jeff Fenster is president of CanopyHR Solutions, based in Irvine, Calif. CanopyHR Solutions is a payroll and human resources company dedicated to helping its customers maximize the power of their people, increase business efficiencies, lower costs and focus on what they do best. For more information, visit www.canopyhr.com. 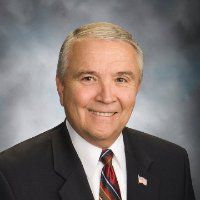 Kenneth W. Janosick is senior vice president of Small Business Solutions, Wright Express Corp. For more information on Wright Express Corp., call 1-877-824-2715. 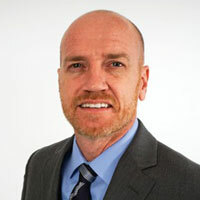 Bruce Cornelius is Chief Marketing and Revenue Officer for Los Angeles-based CreditReport.com, a leading provider of independent credit information to consumers, and CreditScore.com. For credit monitoring information, please visit www. creditreport.com, or to obtain your free credit score, visit www.creditscore.com. Thomas Giddens has nearly 30 years experience in a variety of roles at Aflac. In 2007, Giddens’ numerous achievements and contributions were recognized when he became the youngest member of the Aflac Sales Hall of Fame. Thomas Giddens is Senior Vice President and Director of U.S. Sales at Aflac. For more information about Aflac, call 1-800-99-AFLAC (1-800-992-3522) or visit aflacforbusiness.com. 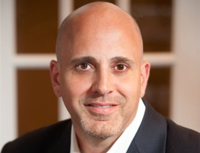 Brad Kivlan is the President of Kivlan Group, a manufacturers’ representative and market-consulting firm. 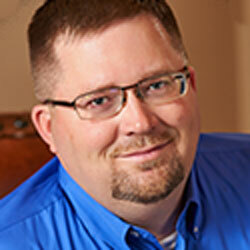 Brad has been involved in the sales and marketing of Yellow Jacket® recovery equipment since 1999. He is a member of the marketing team tasked with developing the new DynaCycle recovery and reclamation program for Dynatemp International, Inc.
Dr. Jack N. Singer, president and CEO of Psychologically Speaking, is a licensed industrial/organizational and clinical/sport psychologist, professional speaker, management coach and trainer. Contact Dr. Singer at 800-497-9880 or drjack@funspeaker.com. For additional information, visit www.drjacksinger.com. Rex is past president of North American Technician Excellence (NATE) and currently sits on the Advisory Board of AtmosAir Solutions and its parent, Clean Air Group in Fairfield, Conn.
For additional information, visit atmosair.com. Tom Flick is President of Tom Flick Communications and The Legacy Coaches, Inc., based in Redmond, Wash. Tom, a former All-American and NFL quarterback, speaks to more than 100,000 men and women each year on high-performance strategies for leadership teamwork, change, and personal growth. For more information, please visit www.tomflick.com or call 1-888-829-8400. Lisa Murton Beets is a Cleveland-based communication consultant, writer, and editor specializing in hvac-related topics. She can be reached at lmbeets@adelphia.net. Garrett Miller is a workplace productivity coach and trainer, keynote speaker, and author of Hire on a WHIM: The Four Qualities that Make for Great Employees (2010, www.HireonaWHIM.com). Known for his extensive experience in hiring, training, attracting, and retaining top talent, he is president and CEO of CoTria, a company that provides time-saving solutions to help clients manage more efficiently. Mark is the owner and president of Alpine Mechanical Services. He has been involved in the business operations side of the hvac industry for more than 28 years. Mark has made the list of Philadelphia’s Top 100 Fastest Growing Companies 12 times, was inducted into the Philadelphia 100 Hall of Fame and, just this year, was listed in the Inc. 5000 National Fast Growing Companies. For additional information, visit alpinems.com. Tony Petrucciani is CEO of Single Source Systems, Inc., a software developer located in Indianapolis that specializes in software solutions for service-intensive companies such as HVAC contractors. 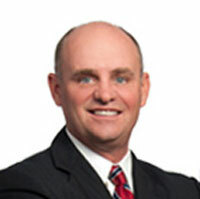 Wade Mayfield is president of Thermal Services Inc., Omaha, Neb. He started at Thermal Services in September of 2000 as a sheet metal apprentice, but moved swiftly up the ladder. In 2006, he took over as president and still serves in that capacity today. For additional information, visit thermalservices.com. Lee Froschheiser is president and CEO of Management Action Programs (MAP) and works with business leaders and companies nationwide. He is also co-author of the best-selling book, Vital Factors, The Secret to Transforming Your Business — And Your Life. For more information, visit www.mapconsulting.com or call 888.834.3040. William J. Zbylut II is vice president, marketing, Knaack LLC, a division of Emerson and its Emerson Professional Tools business. In this role, he is responsible for managing all marketing strategies for the KNAACK® and WEATHER GUARD® brands. Joe Hlavacek is Business Development Manager for Ultra-Aire. You can reach him at 608-209-5587. Susan Kimball is a Marketing Coach at Nexstar®, a worldclass business development and best practices organization that provides business training, systems and support to independent home-service providers in the plumbing, electrical and HVAC trades. For more information, visit www.nexstarnetwork.com. Frank Steinocher is the CIO at Shumate Mechanical LLC, a commercial and residential hvac company in Duluth, GA.
Thomas M. Tebbe is National Programs Director for HVAC Excellence, a not-forprofit organization that provides validation programs for students, technicians, teachers, and hvacr programs. He is a former hvacr contractor and retired director and educator with the Louisiana Community and Technical College System. 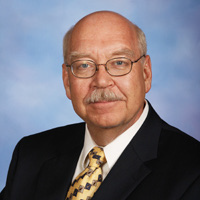 Stan Johnson Jr. is Past Chairman of the Board of Air Conditioning Contractors of America (ACCA) and retired President of Stan’s Heating and Air Conditioning Inc., serving Central Texas. He can be reached at sjohnson@stansac.com. Carl Van is a public speaker, business-course designer and trainer. He is also the author of Gaining Cooperation, which is available on Amazon.com. 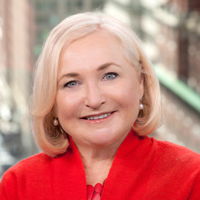 Ursula C. Mannix is the managing partner at Mannix & Associates. She specializes in the design and facilitation of training and development workshops and seminars. 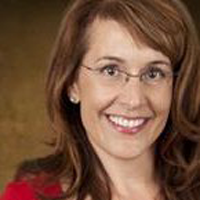 Her areas of specialty are leadership development, managers as leaders, and virtual executive coaching. She is also a contributing editor at Training Media Review. For more information, visit: www.mannixassociates.com. Robert J. Hall is president of Track Your Truck, a leader in vehicle GPS tracking systems and software for small and midsized companies. 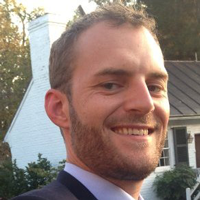 Kyle Scott is a visiting assistant professor at Duke University, with a Ph.D. in political science: American political theory and public law. He has authored three books, including Federalism Theory and Practice. Scott has taught at Miami University, University of North Florida, and the University of Houston. Timothy is the author of the 125 books included in Pinpoint Skill Development Training Series. He has also authored "Great! What Makes Leaders Great," Timothy brings a wide spectrum of more than 30 years of professional experience as a business consultant and entrepreneur, buttressed by years of extensive research on the best practices of successful entrepreneurs and business leaders to create a number of truly unique books and content published on his blog. For additional information, visit whatmakesleadersgreat.com. David is vice president of Web Sales for FleetMatics. FleetMatics is a global provider of GPS fleet-tracking applications. The company’s solutions offer real-time insight into vehicle activity that reduces operational costs and improves customer service for small and mid-sized companies. For additional information, visit fleetmatics.com. George Hedley is the best-selling author of “Get Your Business to Work!” available at his online bookstore E-mail gh@hardhatpresentations.com to request your free copy of “Everything Contractors Know About Making A Profit!” or sign up for his free monthly e-newsletter. To hire George, attend a “Profit-Builder Circle” boot camp, or be a part of an ongoing coaching program, call 800-851-8553 or visit www.hardhatpresentations.com. 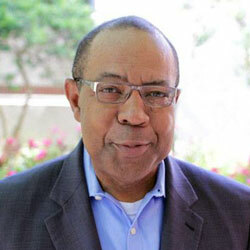 Ellis G. Guiles Jr. is Vice President, TAG Mechanical Systems Inc., and author of "LEED, Follow or Get Out of the Way". He is a Licensed Professional Engineer in the state of New York, a Residential Energy Services Network Home Energy Rater, Building Analyst, and Heating Specialist. Additional certifications include P.E., M.B.A., HERS Rater, and BPI Certified (Shell, Heating, AC/Heat Pump). John Conover has served in a variety of roles in his 25-plus years with Trane, gaining innovative insights into the sales process, and ways to gain and retain customers. He leads Trane’s green initiative. Kyp L. Ross is the president of Cleveland-based Dawson Insurance Inc., which is an independent agency that focuses on the placement of surety and insurance programs for the construction industry. Michael Feuer is co-founder of the mega office products retail chain OfficeMax, which he started in 1988 with one store and $20,000 of his own money, along with a then-partner and group of private investors. Michael Feuer appears courtesy of a partnership with Smart Business, www.sbnonline.com, which originally published this column. 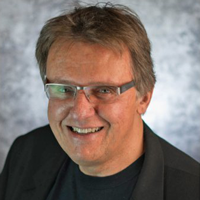 Glenn Gutek is a speaker and CEO of Awake Consulting & Coaching, a firm that helps small businesses and organizations improve their leadership and business development through training, development and coaching. For more information on speaking and consulting, please visit www.AwakeConsulting.com; or contact Glenn at glenn@awakeconsulting.com or 407-901-4357. 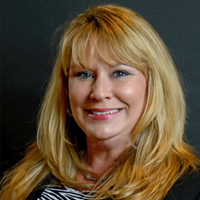 Susan Hart has been associated with the HVACR industry since 1980. She has worked in contracting, franchising, and consulting organizations. Most recently, she was responsible for the operations of a publicly held consulting and training subsidiary that offered proven programs and processes to both private and public heating and air conditioning companies in the United States and Canada. Susan now resides in the Atlanta area. Contact her at susan_hart@ bellsouth.net for more information, or to inquire about supporting conversation guides and tracking forms. Annie Jennings is CEO of the PR firm, Annie Jennings PR (www.anniejenningspr.com), she advises CEO’s and their management teams on how to build stronger businesses and position themselves as thought leaders in their fields. Donald L. Frendberg is the executive vice president/COO of the Heating, Airconditioning & Refrigeration Distributors International, Columbus, OH (www.hardinet.org). Clay Stevens is president of International Exposition Company, which produces and manages the AHR Expo. 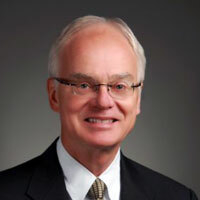 David W. Myer, senior vice president, Dawson Insurance Inc., Cleveland, Ohio. 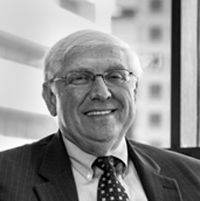 Robert Wilkos has more than 30 years of senior management experience. He is former business leader for Peaden Air Conditioning, Heating & Plumbing. He is now an independent consultant focusing on healthy growth and long-term long-term prosperity of residential service businesses. Gary is a keynote speaker, leadership consultant and the author of "The Ring in the Rubble: Dig Through Change and Find Your Next Golden Opportunity." For additional information, visit GaryBradt.com. Rhonda is a syndicated columnist, best-selling author, and popular public speaker, she has spent more than 15 years advising, mentoring and consulting entrepreneurs and small business owners. Her knowledge of the small business market and her passion for entrepreneurship have made her one of the nation’s most recognized advocates for small business. For additional information, visit planningshop.com. 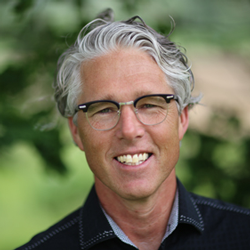 Dana is president of Lighthouse Consulting and the author of “Cracking the Personality Code.” He has more than 25 years of experience in business consulting, with an undergraduate degree in Human Behavior and a master’s degree in Clinical Psychology. Dana speaks nationally to peer groups, associations, corporations and trade organizations. For additional information, visit lighthouseconsulting.com. 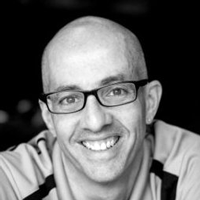 Jay Forte is a speaker, consultant and nationally ranked thought leader. He applies years of research, along with his training as a CPA, working with organizations that want to successfully activate and inspire exceptional employee performance. Renowned for producing results, Jay's firstbook "Fire Up Your Employees and Smoke Your Competition" is due February, 2009. For information on keynotes, speaking, consulting or to see the daily "BLOGucation," visit: www.humanetricsllc.com or www.FireUpYourEmployees.com or call: 401-338-3505. Kim Marcille is an expert on the science of amplifying possibility into reality. A renowned speaker and consultant, Marcille's 25-year background in business leadership ranges from Fortune 500 experience to small business ownership. She's founder of Possibilities Amplified Inc., and author of, "Amp It Up! Secrets from Science for Creating the Life of Your Dreams." Marcille is formerly vice president of new initiatives for the Miami Herald Media Company, and former CEO of Catalyst. For more information and to sign up for Kim's Possibility Tips newsletter, visit www.PossibilitiesAmplified.com or e-mail Kim@possibilitiesamplified.com. D. Michael Sherman is chairman and CEO of Cleveland-based Dawson Companies. He has more than 30 years of experience representing contractors of all types and sizes. Former Editor-in-Chief Patricia Panchak brought award-winning journalism, powerful public speaking and a wealth of experience about manufacturing management leadership, strategy and best practices to her leadership of IndustryWeek's national media franchise. During her tenure, she positioned IndustryWeek as the authority in manufacturing management. 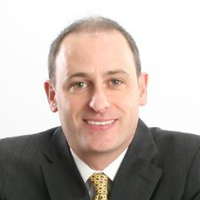 Chris Talis, Hedgerow founder and Senior Partner, holds an MBA in finance and taxation and is a New Jersey licensed Certified Public Accountant. He has personally refinanced troubled companies, and directed a management buyout. His diverse background includes business consultancy; debt and equity placements; business valuation; mergers, acquisitions and divestitures; financial analysis; succession planning; and exit strategies. Skip Snyder is president of Snyder Company Inc., was the 2004 chairman of ACCA, and was chairman of NATE from 2000 to 2003. 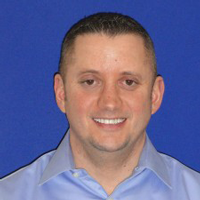 Jeff Leone is president of Air Temp Mechanical Services in Hartford, Conn. He is a member of Nexstar, a business development and best practices organization that provides business training, systems and support to independent home service providers in the plumbing, electrical and hvac trades. To learn more about Nexstar, visit www.nexstarnetwork.com. Michael Guld is an author, speaker, entrepreneur and radio commentator whose business development expertise lies in the "soft skills”; increasing salesperformance, marketing exposure, employee productivity and creating a world-class service experience. He is the president of The Guld Resource Group and creator of “Talking Business with Michael Guld,” airing on Central Virginia’s Public Radio and heard at www.talkingbiz.net. 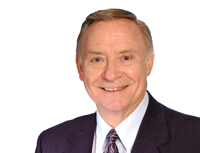 Bob Niewenhous specializes in developing strategic human capital solutions. He oversees the human resource functions of Trane’s commercial business in the Americas regions, including leadership development, performance management, compensation, staffing, executive coaching, sales compensation, acquisition support and leading a matrix organization of human resource professionals. 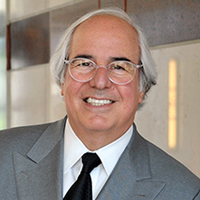 Between the ages of 16 and 21 Frank W. Abagnale successfully posed as an airline pilot, an attorney, a college professor and a pediatrician, in addition to cashing $2.5 million in fraudulent checks in every state and 26 foreign countries. This was depicted most graphically in his best-selling book and subsequent feature film, "Catch Me If You Can." Currently, Frank is a respected authority on forgery, embezzlement and secure documents. For more than 30 years he has worked with, advised and consulted with hundreds of financial institutions, corporations and government agencies around the world. After his prison term, he was released on the condition that he would help the federal government, without remuneration, by teaching and assisting federal law enforcement agencies. For additional information, visit abagnale.com. Jim is a technical specialist for Testo Inc., a test instrument company. He also is an HVAC Instructor at Cuyahoga Valley Career Center located in Cleveland. For additional information, visit HVAC-E3.com. 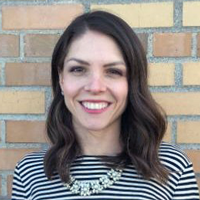 Lisa is a senior account executive, Retail West at SuccessFactors, an SAP company that helps organizations align strategy with objectives and manage people performance to ensure execution and results. For additional information, visit successfactors.com. Alan W. Davis, M.D., and Pamela H. Davis, M.D. 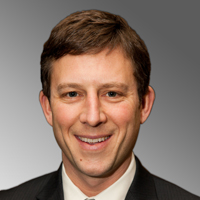 Alan is an orthopedic surgeon and sports medicine physician affiliated with The Cleveland Clinic Foundation. He is a member of the National Board of Medical Examiners, American Academy of Orthopaedic Surgeons, and the American Orthopaedic Foot and Ankle Society. Pamela is a practicing dermatologist at MetroHealth Medical Center in Cleveland, Ohio, and is an assistant professor at Case Western Reserve University. She is a member of the American Board of Internal Medicine as well as the American Board of Dermatology and is a member of the American College of Sports Medicine. Theo is the CEO of Naples, Fla.-based Conditioned Air. He is a seasoned business executive and passionate entrepreneur who believes in providing the highest level of customer care, services and products to his clients. For additional information, visit www.conditionedair.com. 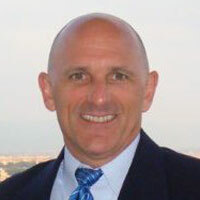 Peter Strozniak is the owner of ProComm Inc. (PCI). He develops and manages all types of original and customized copywriting projects that achieve results for a wide range of business and corporate clients. He often writes on business issues facing a variety of industries. Tonya Vinas is a former editor of HVACR Business. Paul Dooney is the project manager and Bay Furnace in Cleveland, Ohio. The family-owned company specializes in the sale, service, replacement, and installation of furnaces, air conditioners, heating and cooling accessories, Unico systems, hot water tanks, UV lights, humidifiers, boilers, heat pumps, air cleaners and thermostats. 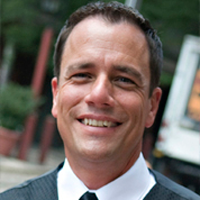 Mark Swepston is owner of Atlas Butler Heating & Cooling in Columbus, OH. Jackie Rainwater is a 46-year veteran and former owner of Peachtree Heating and Air-Conditioning in Atlanta. He built his businesses on service agreements. 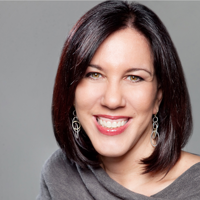 Laura Pasternak is President of MarketPoint, LLC, a brand management firm that helps businesses improve results by identifying, integrating and managing customer-driven brand equities and strategies. Visit www.yourmarketpoint.com to learn more, or call 1.866.21POINT toll-free or 410.418.8490. Michael Wayde is a senior account manager at Godfrey, a full-service, integrated business-to-business branding and marketing communications company headquartered in Lancaster, PA. He manages several main accounts, including those in the hvacr industry, and works closely with the public relations team to strengthen existing accounts. The Grunau Co. is a full-service mechanical systems company with more than 500 employees. The company provides expertise on design, construction, installation, and service and maintenance for the commercial, industrial and institutional markets. Joe Takash, founder of Victory Consulting, is a keynote speaker and business consultant who specializes in management, leadership and communications. He helps clients like American Express, Prudential and General Motors build morale, results and profits through relationships. A syndicated columnist, Takash has been featured in Entrepreneur, Selling Power, Craine’s New York and MSNBC.com. He is the author of Results through Relationships (Wiley, 2008). Traci Purdum is a former editor of HVACR Business. Esther Joseph is a personal and family coach and author of, “Memories of Hell, Visions of Heaven: A Story of Survival, Transformation, and Hope,” her personal story of survival and perseverance, despite a violent childhood. To contact Esther or hear her speak, please visit www.unityinherited.com. 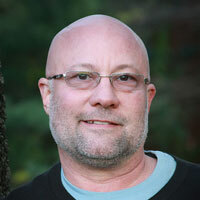 Jim Bergmann is CTO and co-owner of TruTech Tools, LTD. He holds an Associate Degree in Applied Science in Mechanical Technology from the University of Akron. He also has NATE certification (all available certifications including senior certifications) and an Ohio State License: Career and Technical Education. Jim has focused his career on enabling HVAC and building performance technicians to use measurement science to do it right the first time. Over the course of the last 25 years, he has worked as a technician, as well as for instrumentation manufacturers. He is an award-winning secondary school instructor. As co-owner at TruTech tools, his key responsibilities are product and technical evaluation, training development, and website content/function. He has led a variety of innovative courses on the processes, applications and hands-on use of testing and measurement instrumentation in building science, weatherization and HVAC. 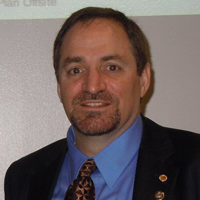 Jim is affiliated with ASHRAE, RSES, NATE, BPI, and ACCA Technical Committees. Joe Pulizzi, a veteran HVACR marketing expert, is founder of Junta42 Match, a free online service where businesses can find the best vendors to help them create their own content. Newt Barrett is president of Content Marketing Strategies, a marketing consultancy that helps small and medium-sized businesses implement the content practices from the book. Joelle K. Jay, Ph.D., is an executive coach specializing in leadership development and the author of The Inner Edge: The 10 Practices of Personal Leadership. Her newsletter, The Inner Edge Quarterly, offers articles, exercises, tips, quotes, and success stories from real leaders to help you excel. To register, please visit www.TheInnerEdge.com and click on Newsletter, or email Info@TheInnerEdge.com. 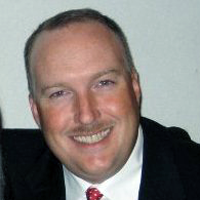 Charles McCrudden is Vice President/Government Relations for the Air Conditioning Contractors of America, www.acca.org. He can be reached at charlie.mccrudden@acca.org. Karl Rajotte is Director of Product Management – MEP at Maxwell Systems, Inc.
Doug Mitchell is VP of Marketing for BirdDogJobs.com, a niche candidate acquisition and management system. He can be reached at doug@birddogjobs.com. 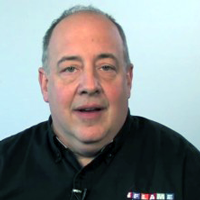 James Graening is a sales trainer, coach, and consultant serving the HVACR industry. Educated at the University of Akron for business, Graening also has attended various HVACR industry schools and has a background in business management and sales, as well as being a published author. He was a top performer for Honeywell's Building and Controls division, and performed sales and management duties for a LINC mechanical contractor and two family-owned mechanical contractors in Ohio. 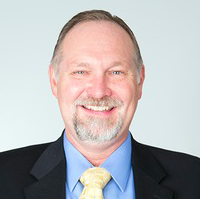 He also was VP Service Sales and a corporate sales trainer for Comfort Systems USA; has served as Vice President of Commercial for Excellence Alliance; and was an educator and coach for Business Development Resources, working as a consultant to many contracting organizations. He currently operates a training and education business, www.GrowHVAC.com, serving contractors in the U.S. and Canada. He can be reached at jgraening@knology.net or 850-867-2593. Rich Friedel is the Station Manager at HVACR Live Web TV.com. 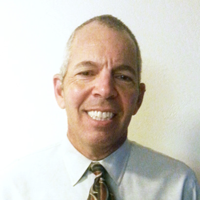 Rich has over 40 years of experience in the HVAC industry. With 25 years as an HVAC contractor in three states, Rich has frontline experience. With 10 years as a business coach, Rich has trained thousands of small business owners across the United States. Contact Rich by visiting www.hvacrlivewebtv.com or (406) 672-3464. Mark Ham is an instructor with Famous Supply in Akron, OH. He has been working with zoning for 18 years and installed zoning systems before becoming an instructor. Following a successful 13-year career with ever-increasing responsibilities at Trane, Tom Edwards joined Ruskin as Vice President of Sales and Marketing in 1993. In 1995, he became President of The Ruskin Group. In addition to managing the extensive line of Ruskin air control products, Edward’s responsibility includes Lau Industries, Ruskin Rooftop Systems, Ruskin Air Management of the UK, and Eastern Sheet Metal. An active member of ASHRAE, AHRI, Green Building Council, and AMCA, Edwards is a past-President of AMCA. He has a B.S. in Engineering from the University of Wisconsin-Milwaukee and an M.B.A. from Penn State. Jean Kelley, president and founder of Jean Kelley Leadership Consulting, is the author of “Get A Job; Keep A Job.” She works with corporate leaders all over the world to achieve their highest potential. For more information, please visit www.jeankelley.com. Heather Onorati is former editor of HVACR Business and now works as a writer and editor in business communications. Stephen Yurek is president and CEO of AHRI (Air-Conditioning, Heating, and Refrigeration Institute), one of the largest trade associations in the nation, representing more than 300 heating, water heating, ventilation, air conditioning and commercial refrigeration manufacturers within the global HVACR industry. Craig Wasserman has been a management consultant, trainer and lecturer since 1976. He helps managers explore their ultimate responsibility for making critical organizational relationships work and shows them how to deal head-on with their internal apprehensions and external realities, how to master the tasks that are especially awkward for them and how to perform as intelligent, practical leaders. Doug Katz has been advising managers on the most intelligent ways to steward their organizations and navigate their relationships with employees for almost four decades. In addition to his consulting work, Doug is often retained to facilitate meetings and conferences addressing controversial issues. James is an author, speaker, consultant and coach. He is the founder of the Falcon Performance Institute, a consulting and corporate training firm focused on productive performance. For additional information, visit fpiteam.com. Joy is the founder and CEO of PostcardMania, a marketing firm in Clearwater, Fla. specializing in lead generation and direct mail. Using only postcards, Joy grew her business from the ground up, from a one-woman startup with just a phone and a computer, into a company generating more than $21 million in annual revenue and employing more than 200 people. To download a free report with successful HVACR campaigns and designs, visit postcardmania.com/go/hvacsuccess. 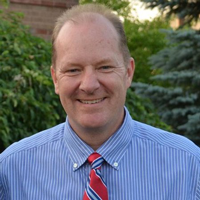 Ronald Seigneur is the Managing Partner of Seigneur Gustafson LLP in Lakewood, CO, and has over 30 years of experience working with closely held businesses in appraisal and exit planning related engagements. 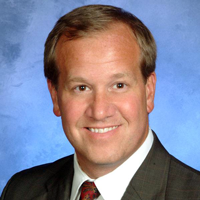 James Gerdsen is President/CEO of Apollo Heating Cooling and Plumbing, Cincinnati. For additional information on ideas presented in this article, contact him at james@apollohomecomfort.com or (513)271-3600. Nadia Romeo is president of iMarket Solutions, which specializes in professionally designed and search engine optimized HVAC and plumbing contractor websites. Geoffrey James is the author of several books, hundreds of business articles, and currently writes the popular Sales Machine blog on CBS Interactive’s BNET website. Kevin Yeanopolos CPA/ABV/CFF, ASA, is the Direstor of Valuation Services for Brueggeman and Johnson Yeanoplos, P.C., a firm that specializes in the areas of business and intellectual property valuation. He currently is serving as a Commissioner on the American Institute of CPA's National Accreditation Commission. He is a frequent lecturer on the topics of business valuation and applied finance. Abehas extensive product and implementation knowledge and currently works with the sales team and VAR channel providing business process analysis and system architecture planning. Abe’s experience in business process consulting is far reaching and he is an expert in medical practice business processes as related to systems and software integration and deployment. 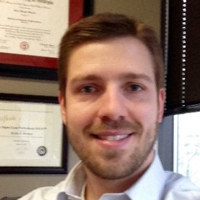 He began his career as a research associate at the University of Alabama-Huntsville. In 2000 he founded a new company with the developers of the Cabinet NG software. AsPresident of ePaperlessOffice.com, Inc., the company was solely dedicated to development and sales of Cabinet NG software. ePaperlessOffice.com, Inc. changed its name to Cabinet NG, Inc. in 2002.In late 2003, a new management team was implemented to expand company growth and Abe assumed the role of Vice President of Technology. Abe canbe reached at aniedzwiecki@cabinetng.com, (256) 258-0460 or www.cabinetng.com. 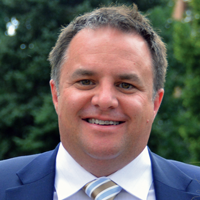 Matthew is vice president, managing partner at InsuranceForce, based in Annapolis, MD. As the leader of the company's Risk Management Division, Stangle created the "Safety Saves" program for the HVAC market, and he has implemented other similar programs for clients in various industries. His work was recognized by the National Safety Council, and he was among 41 honorees selected from around the world to the 2014 Class of the NSC Rising Stars of Safety, presented by DuPont Sustainable Solutions. In addition, Stangle was named HACC Associate Member of the Year 2014 for his support of the HVAC industry. He is a member of the Board of Directors of HACC. For more information, visit www.InsuranceForce.net. Terry is the owner of JFT Properties LLC and publisher of HVACR Business magazine. He has more than 25 years of experience in the advertising and publishing industries. He began his career with a business-to-business advertising agency. Prior to forming JFT Properties LLC in January 2006, he spent 20 years with a large national publishing and media firm where he was the publisher of several titles in the mechanical systems marketplace. In addition to his experience in advertising and publishing, Terry has worked closely with numerous industry-related associations over the years including AHRI, NATE and ABMA. 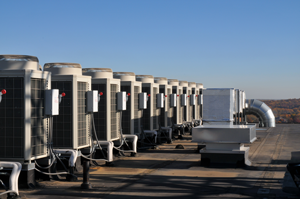 One way to create a strong, competitive position for your company when expanding into the commercial market is to offer Variable Refrigerant Flow (VRF) zoning systems. Tom Edwards explains the difference between electronic bypass variable air volume (BPVAV) and constant-volume duct systems—and when to use each application. Zone control in the light commercial and residential market has become the norm rather than the exception. It is imperative that every HVAC contractor and system-design professional understands the application. It is a key strategy for success on both new construction as well as improving overall comfort on existing jobs. The steps identified should help identify additional thoughts to be included in a successful zone-control strategy. Contractors that provide high-quality products and services are already being environmentally responsible. Isn’t it time you told your customers?